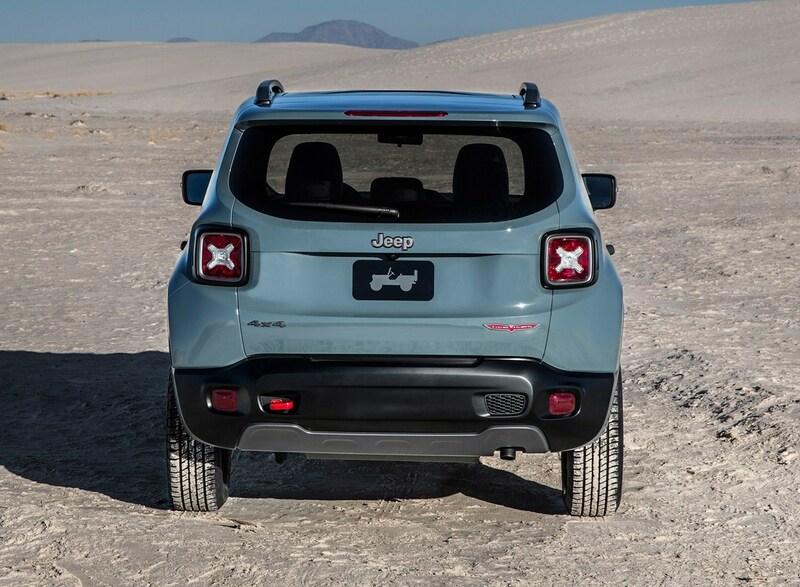 This is the all-new Jeep Renegade, a small 4x4 from the American brand more famous in recent years for large, thirsty off-roaders. 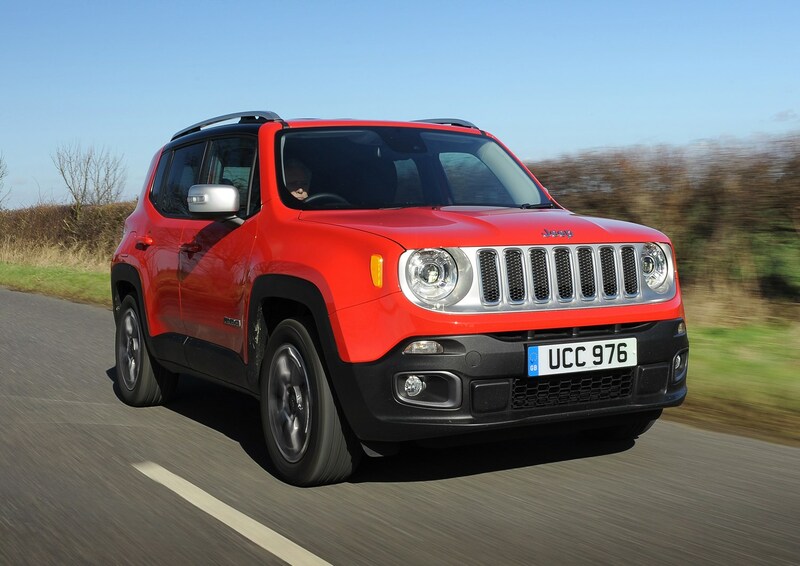 Its main rivals are probably the Skoda Yeti and MINI's Countryman, and sure enough we're expecting pricing (when released towards the start of 2015) to be around the same. 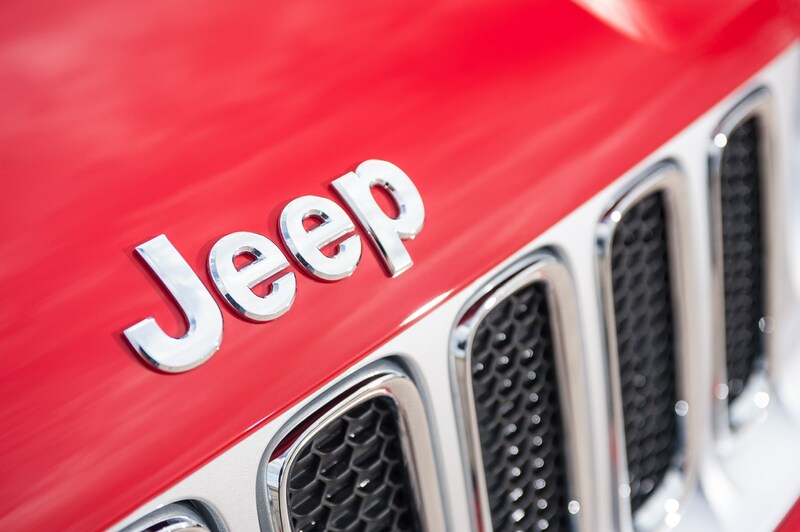 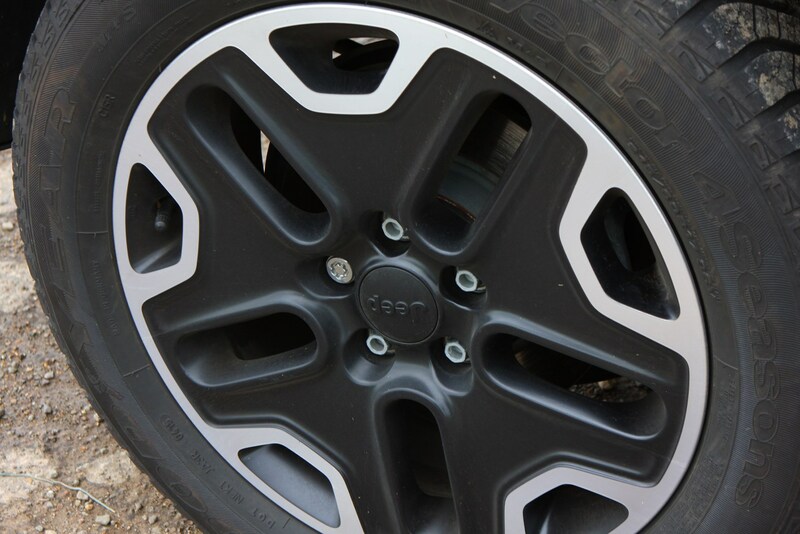 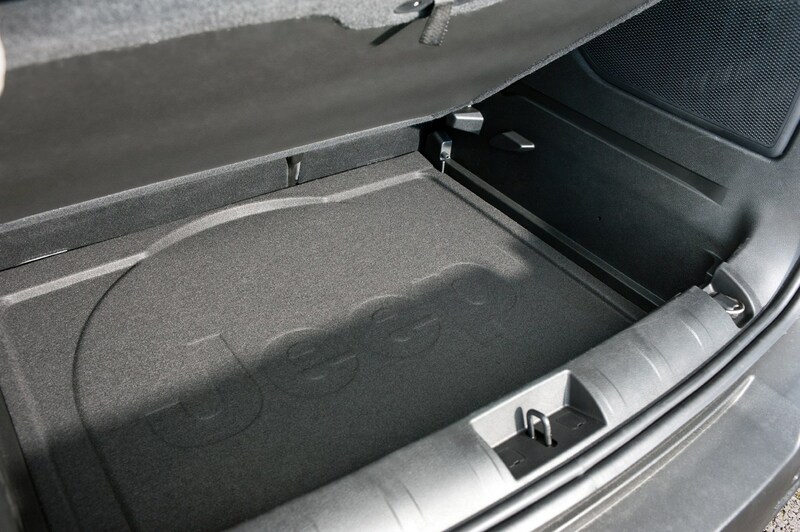 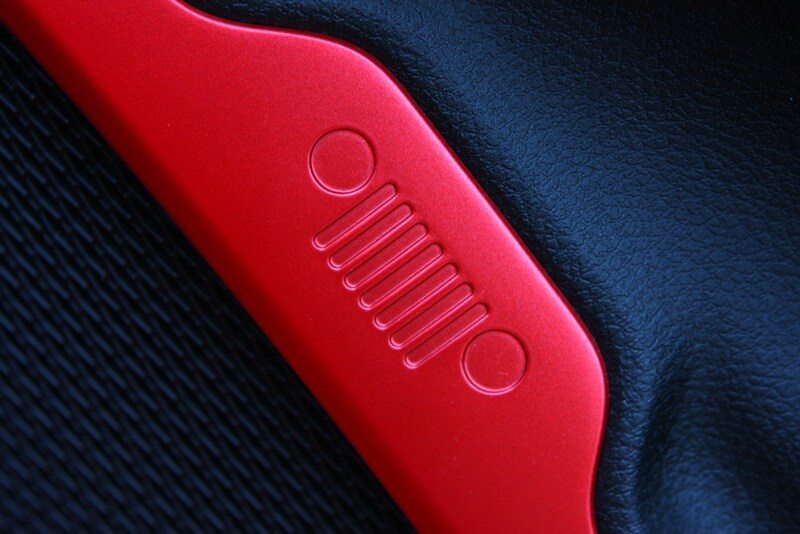 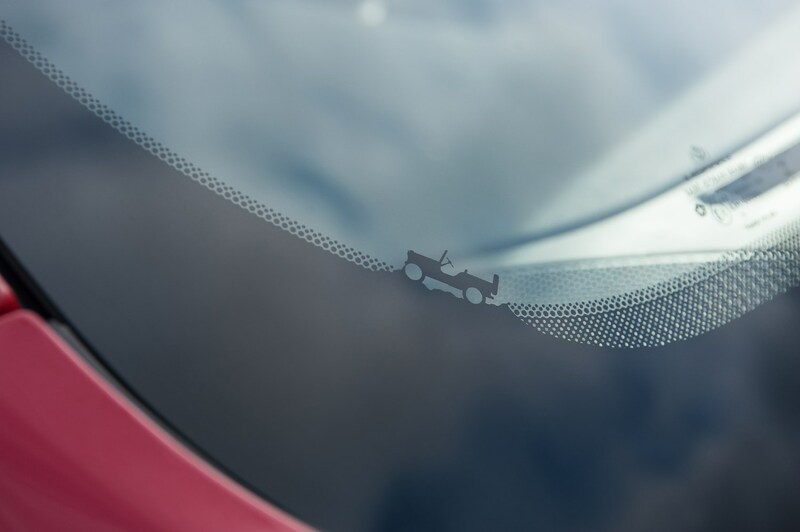 We're impressed with this new Jeep. 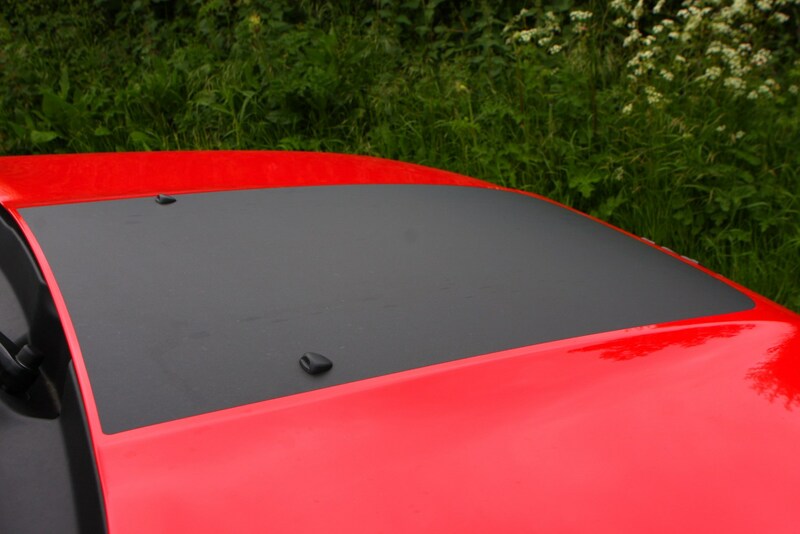 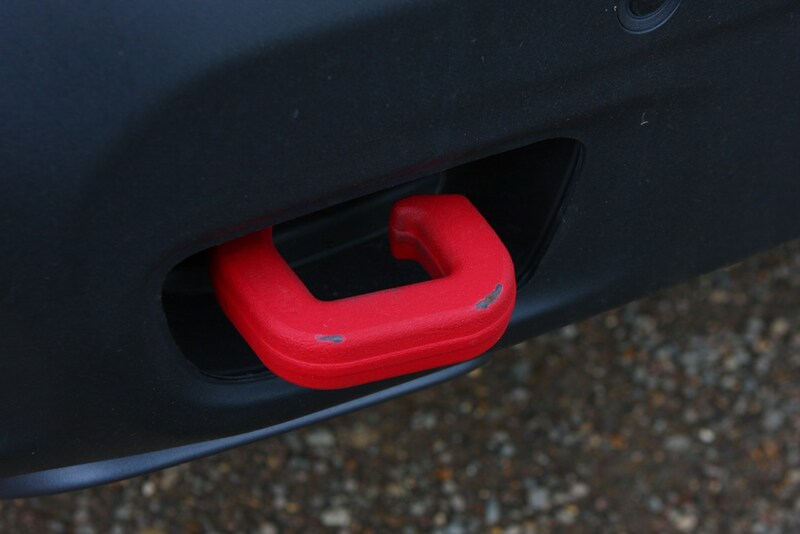 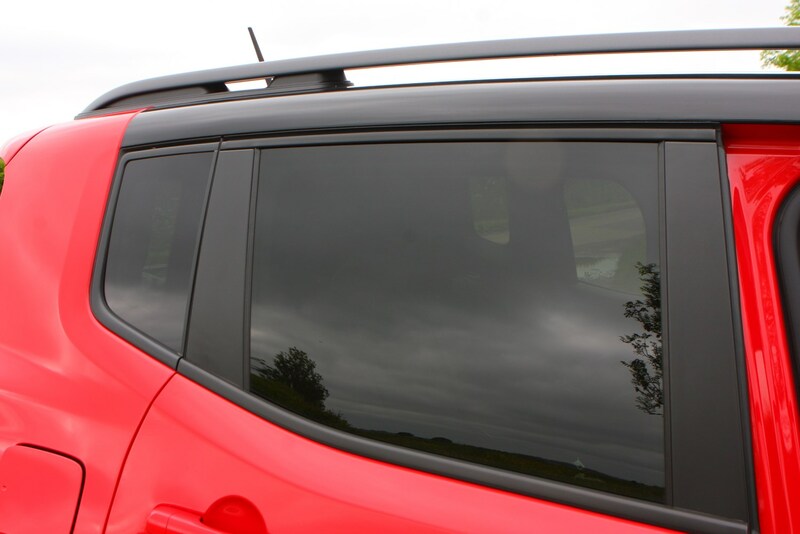 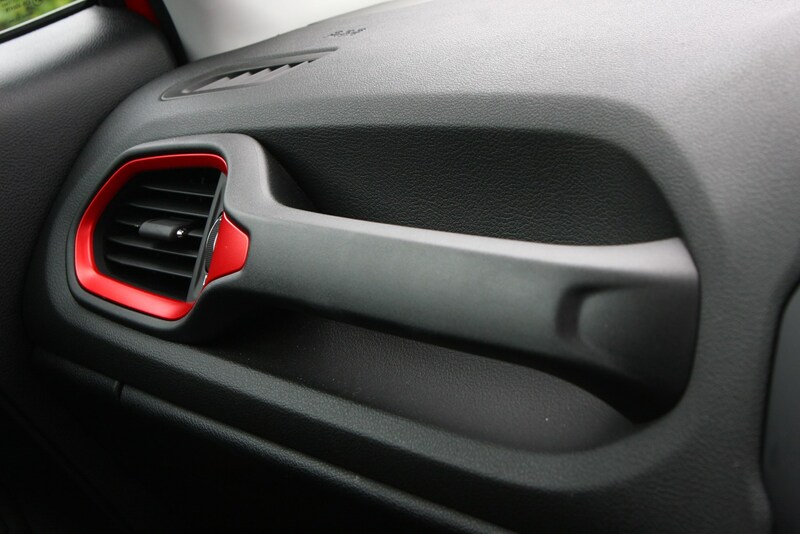 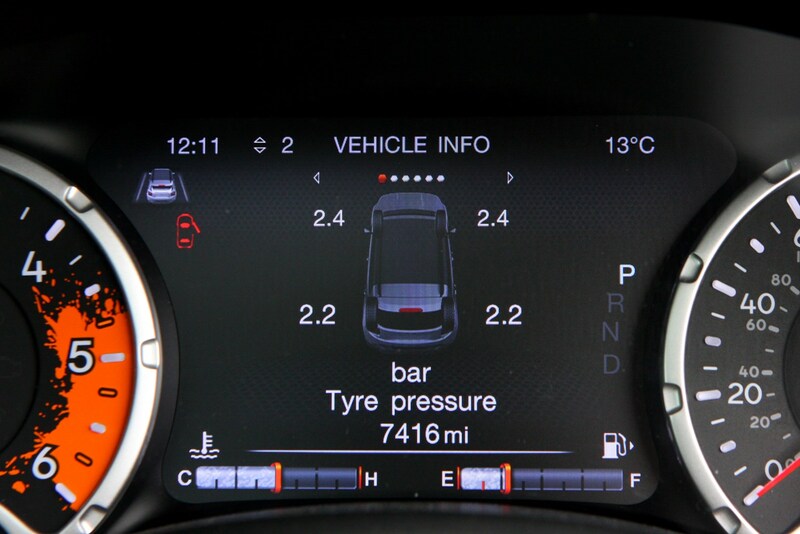 It drives very well indeed and offers solutions that no other car in the sector can quite manage. 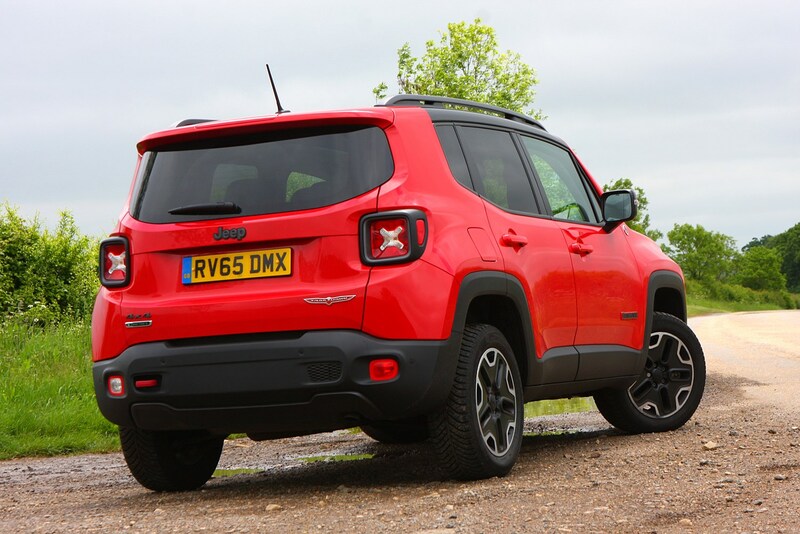 It's a bona fide rugged off-roader first and foremost, while nods to fuel economy and tax bills come in the form of front-wheel drive models that offer the image but without the higher monthly outgoings. 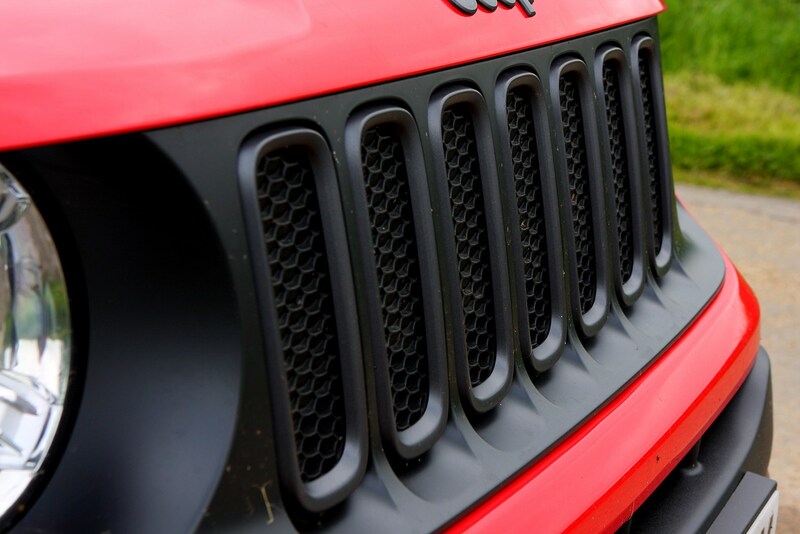 What's more, it feels rugged. 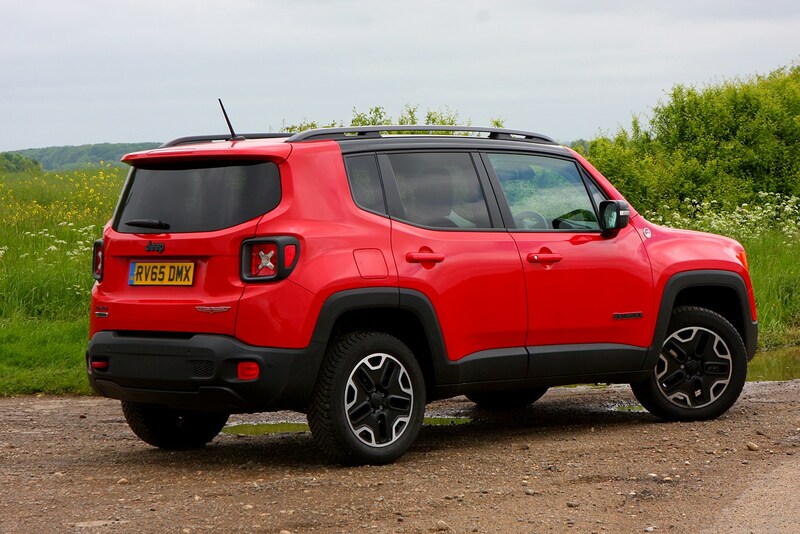 The build quality seems excellent on the early cars we've driven and the cabin's refinement is surprisingly good, especially for this shape of vehicle. 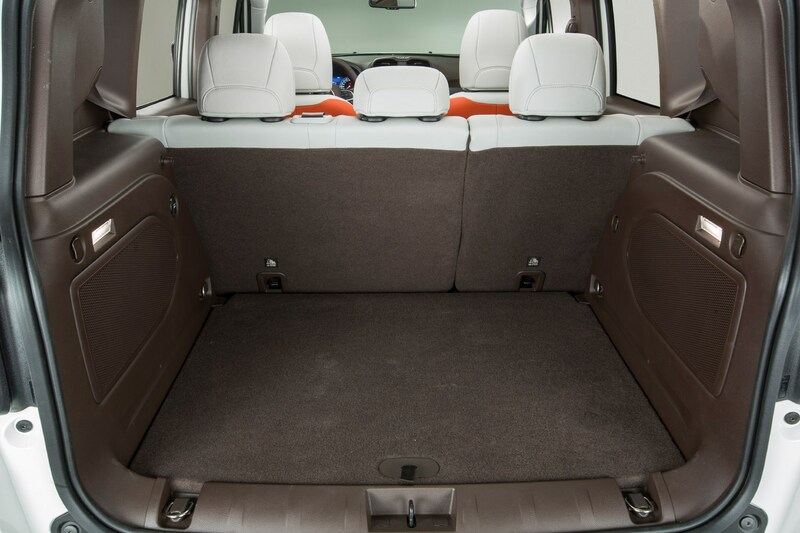 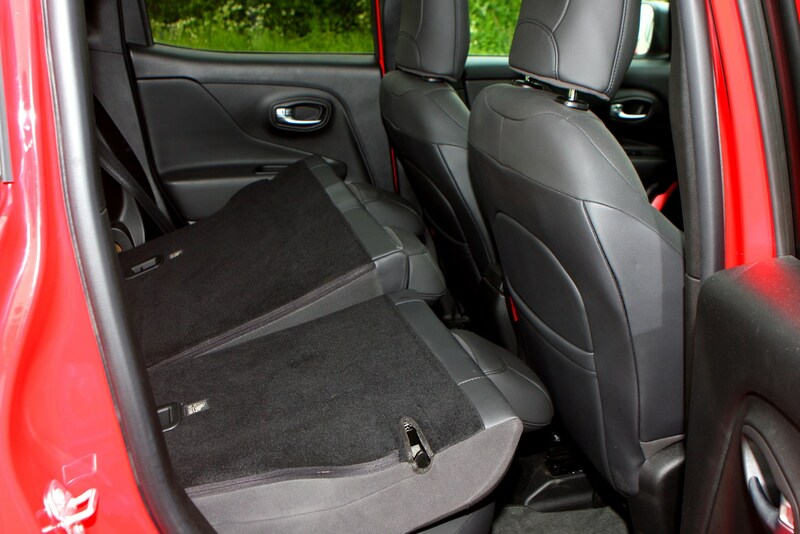 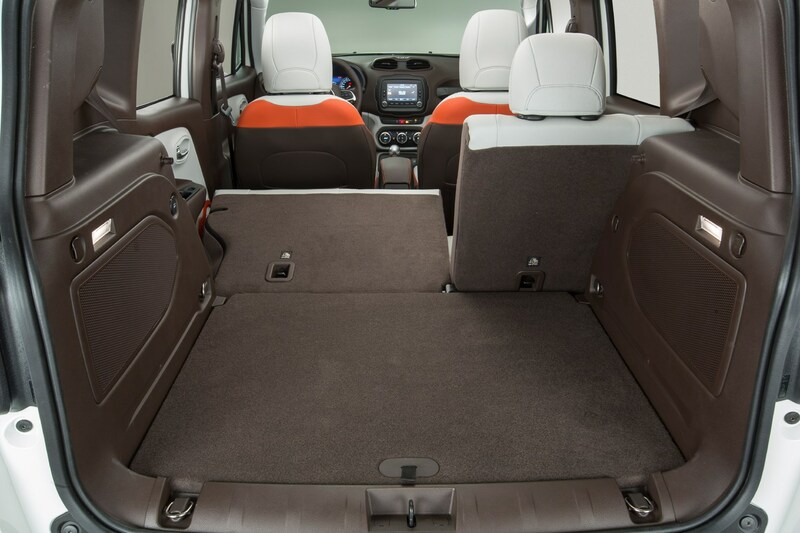 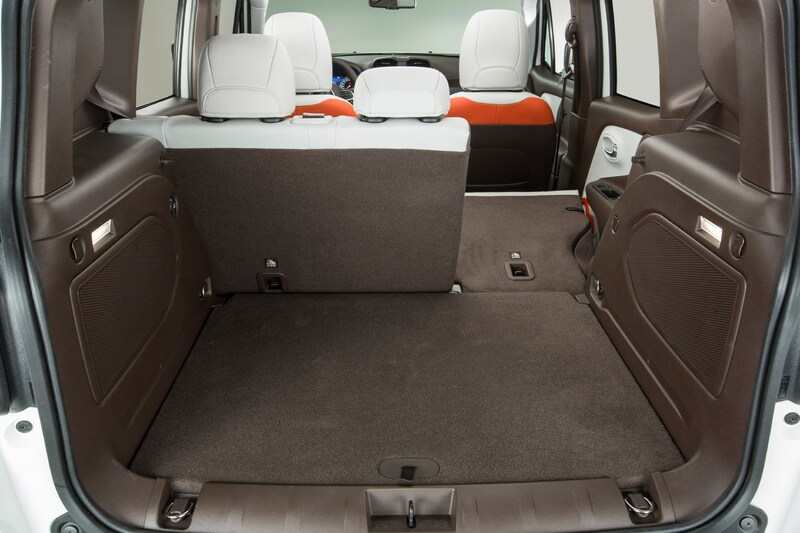 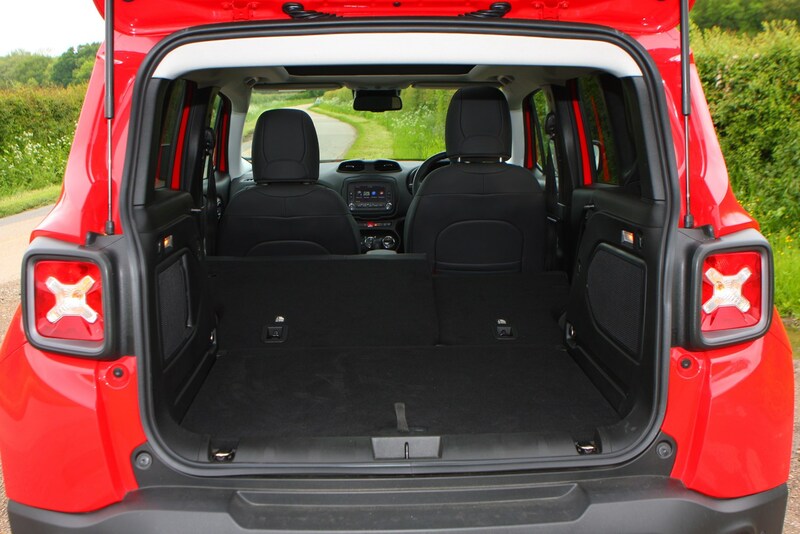 It's huge inside, too, with more than enough room for four larger adults to sit comfortably. 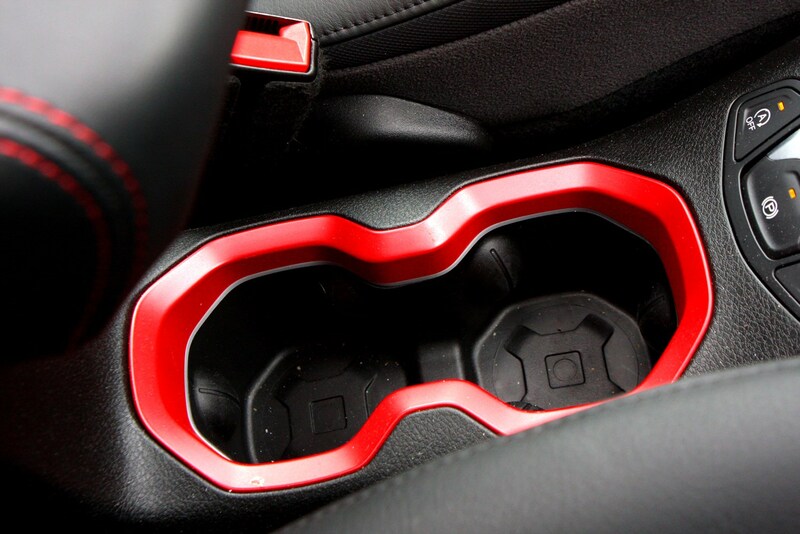 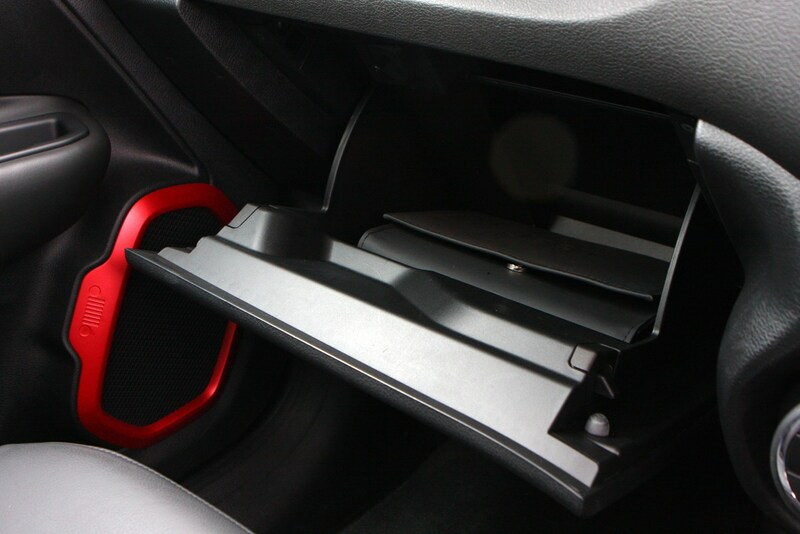 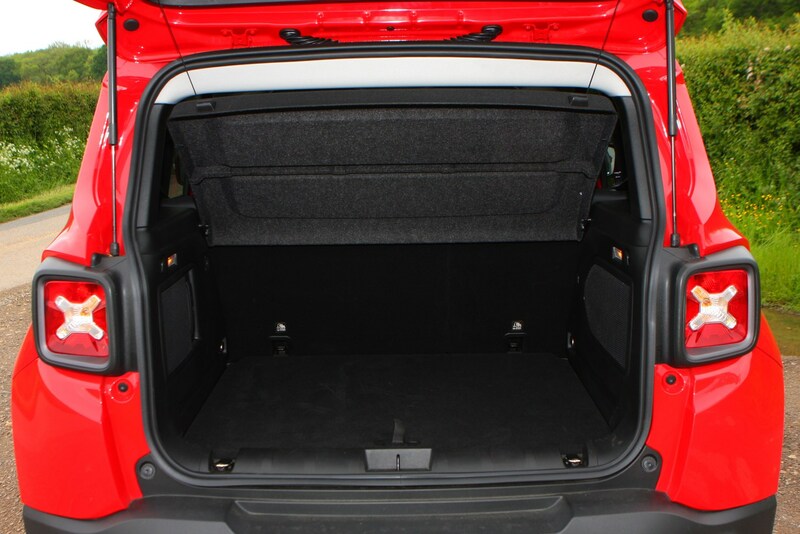 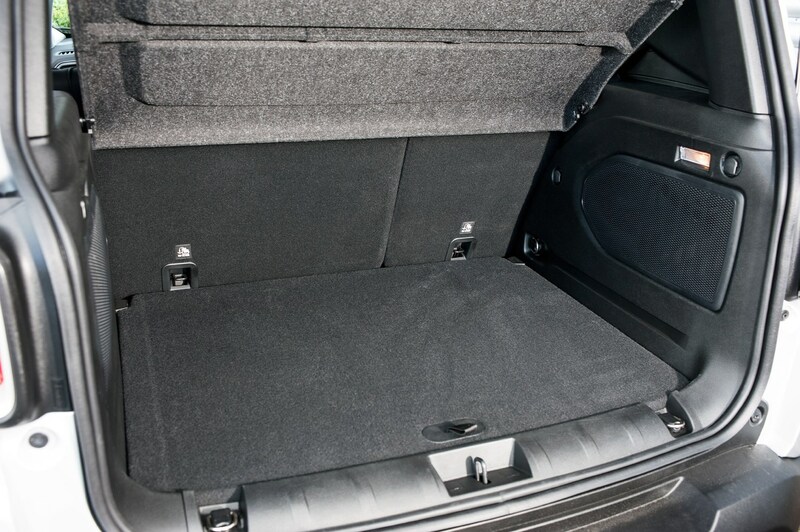 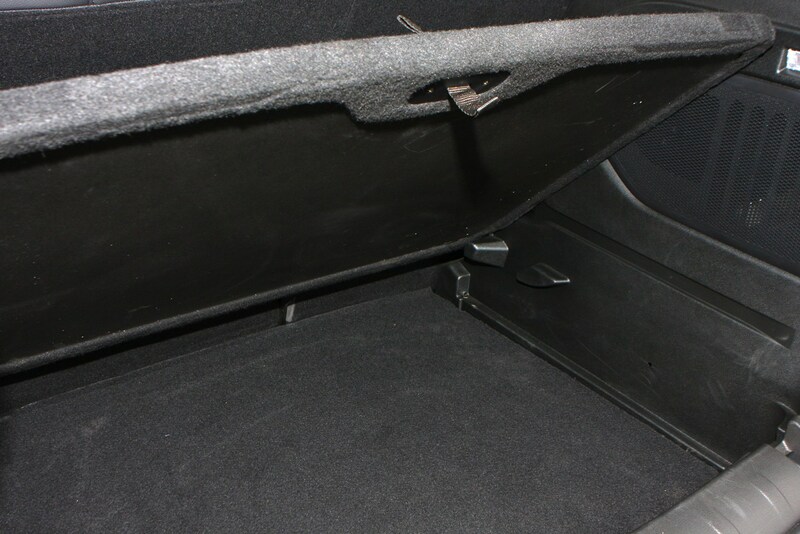 There's a nice, square boot with flexible storage options as well. 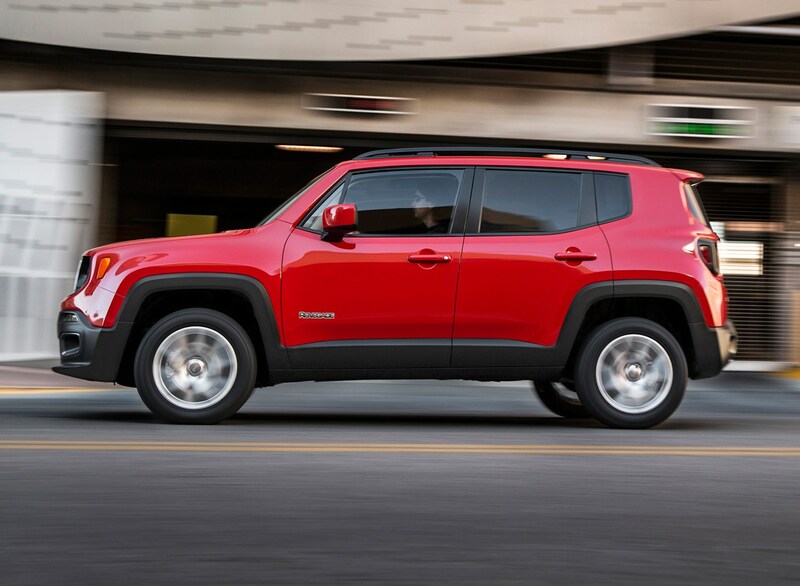 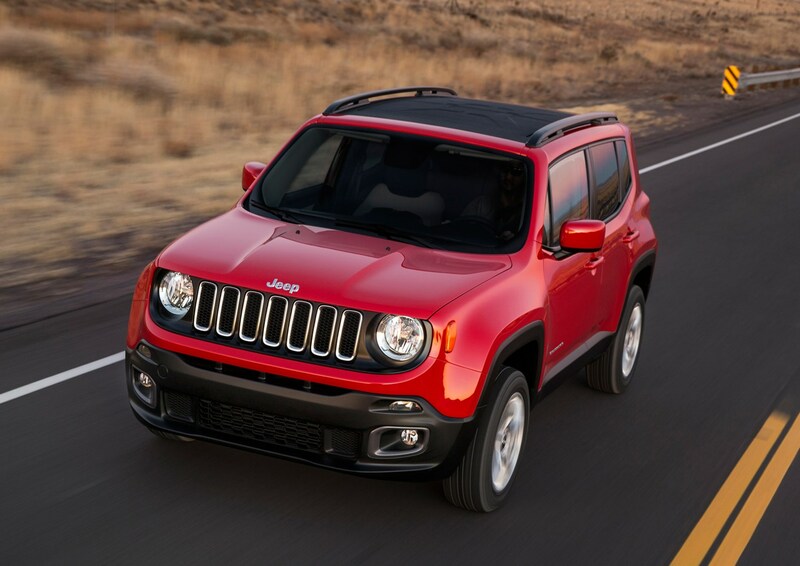 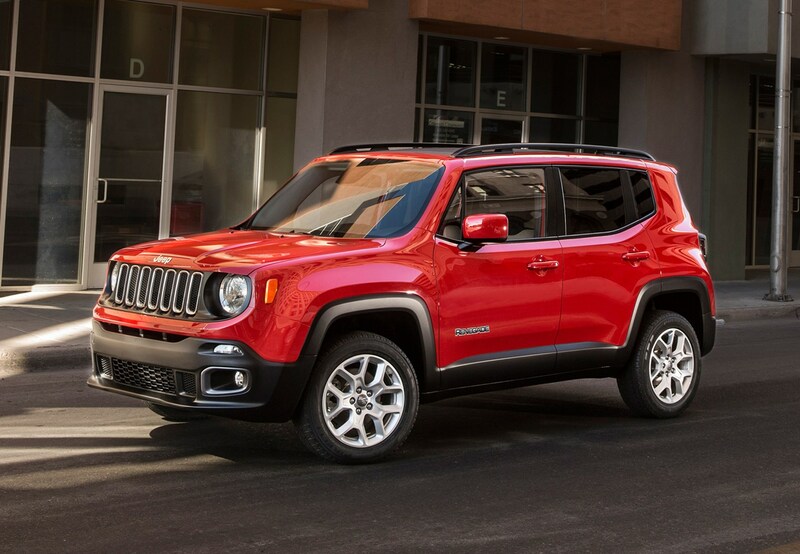 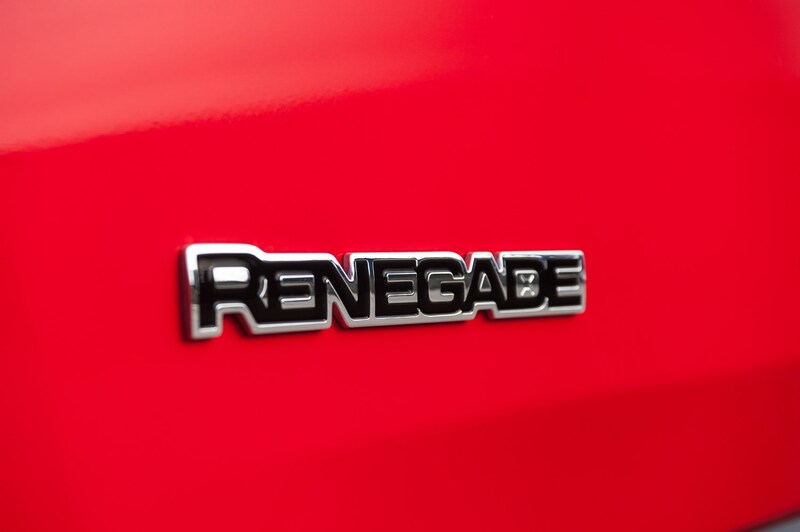 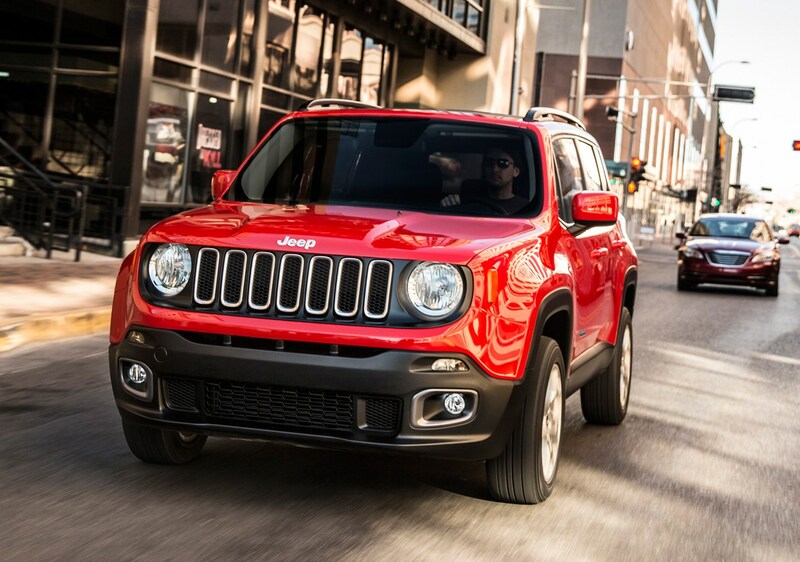 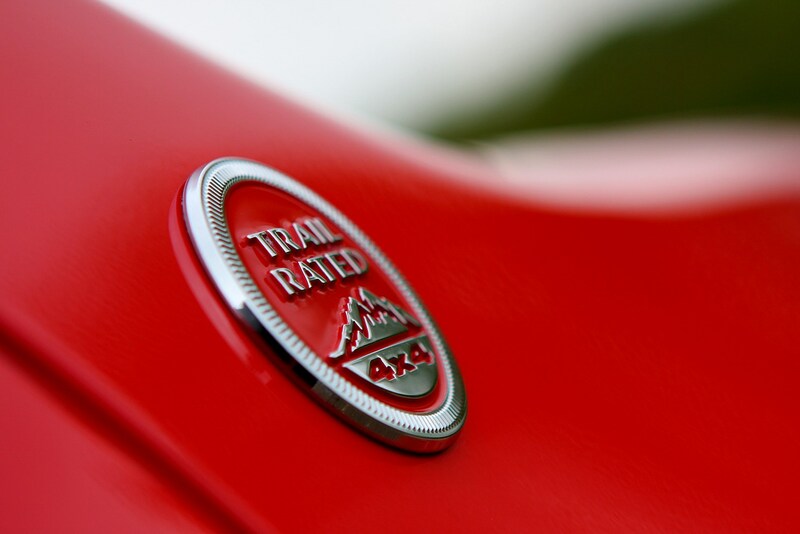 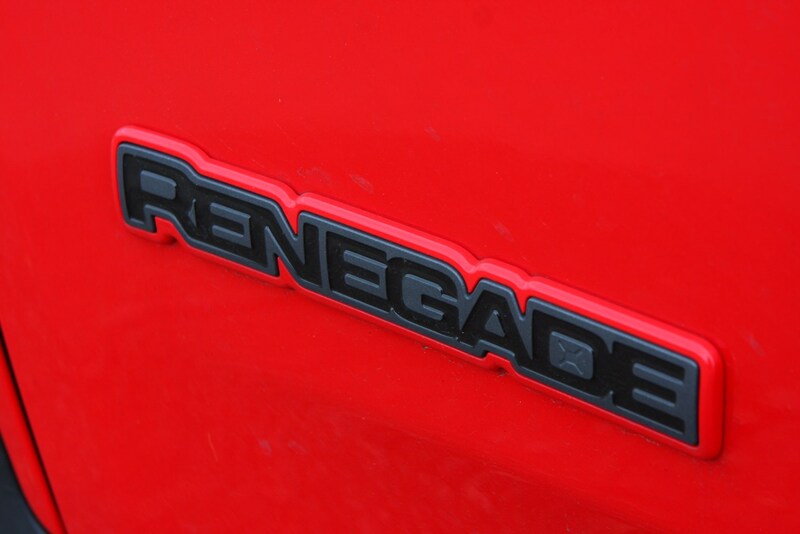 With the Renegade, the primary mission is to broaden the Jeep brand's appeal outside its North American heartland. 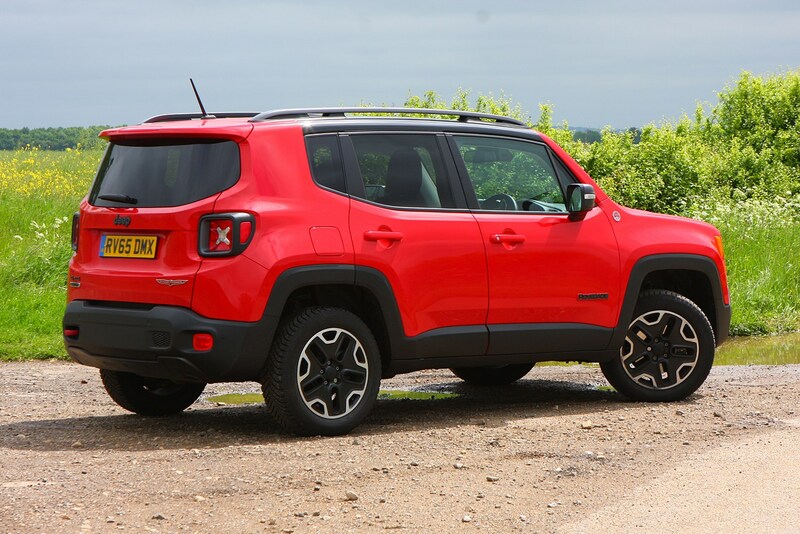 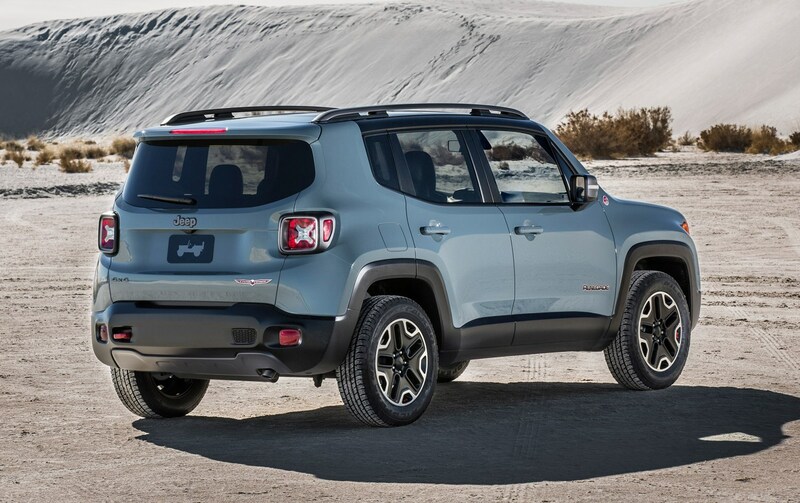 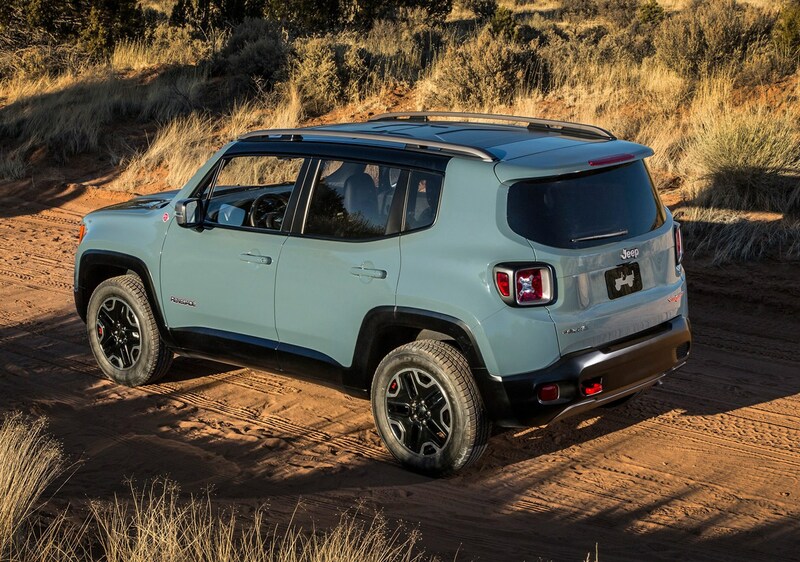 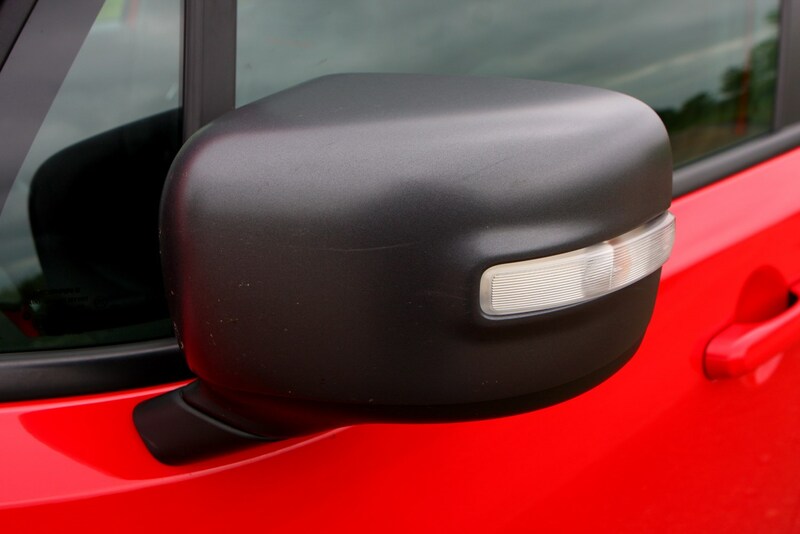 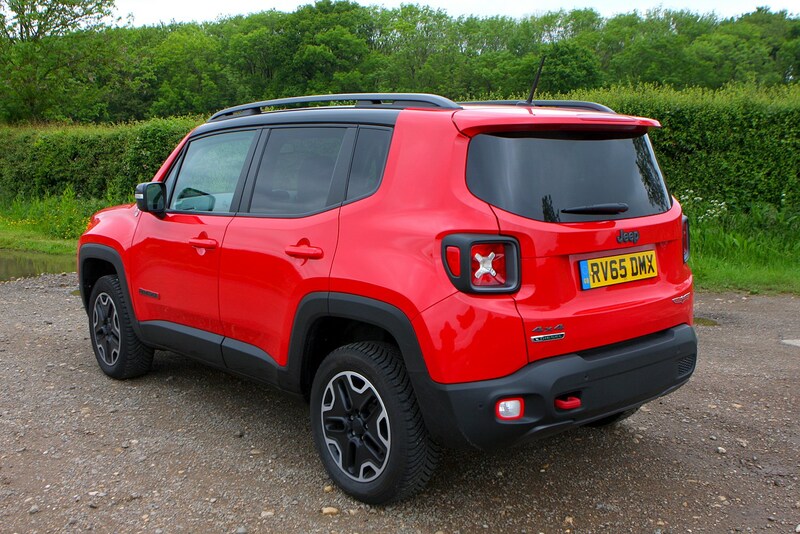 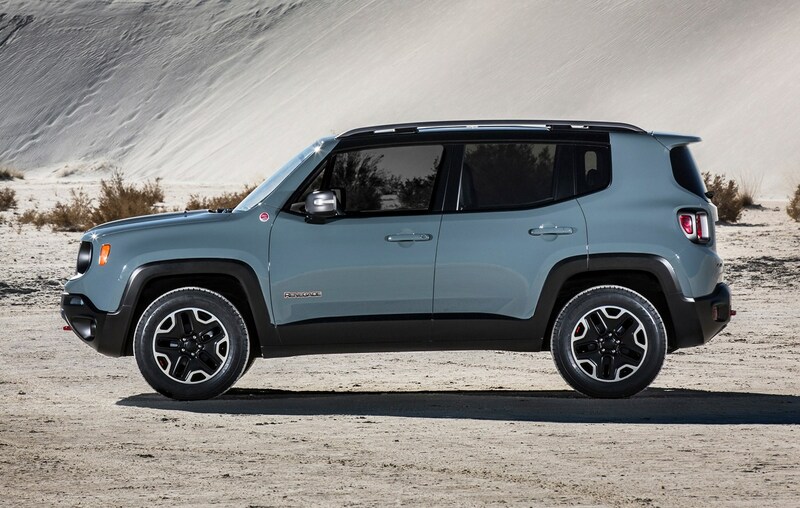 To reinforce this, although the Renegade was designed in the USA, it will be built in Italy, alongside a different-looking sister car from Fiat. 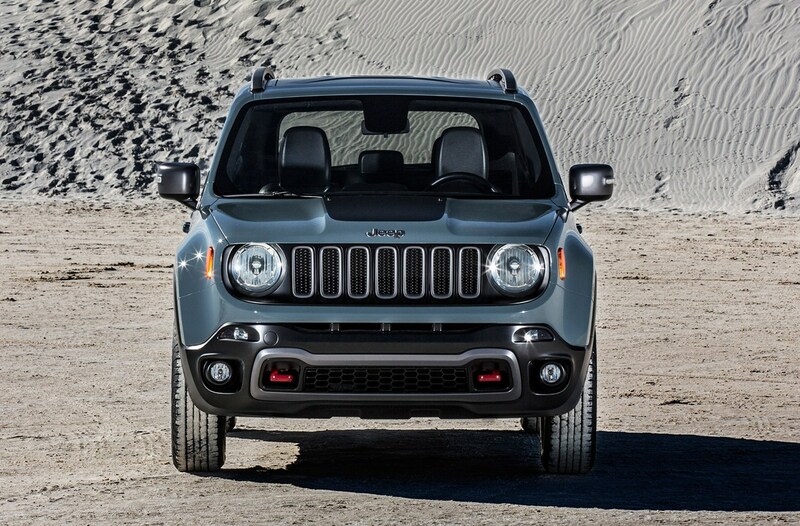 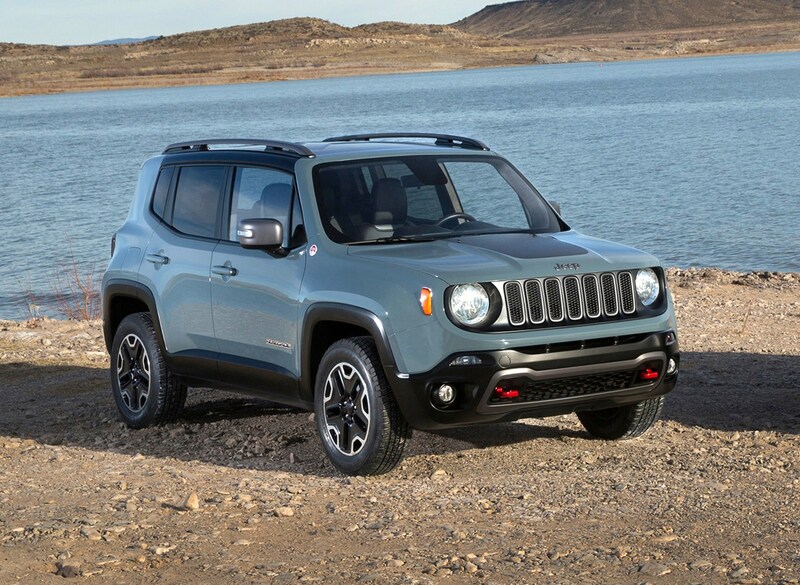 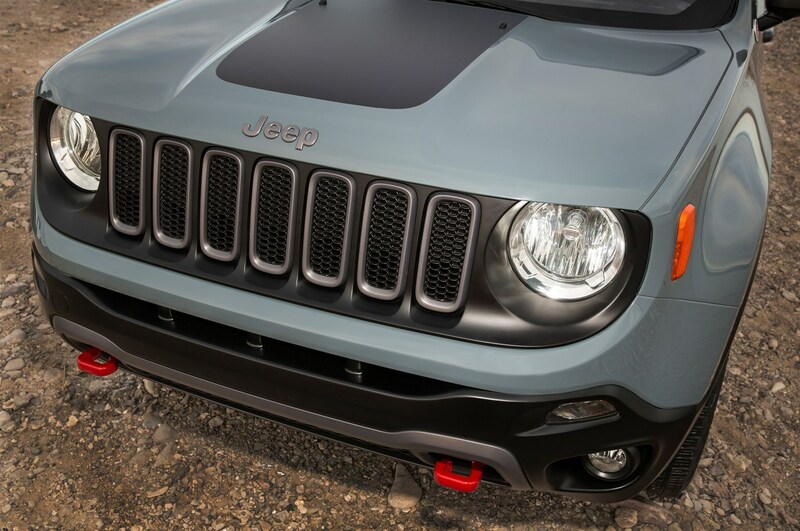 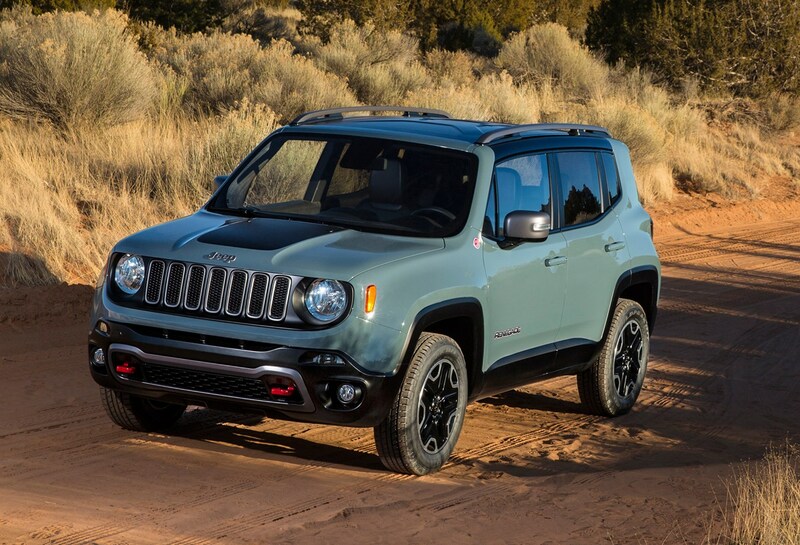 The Renegade is a rugged-looking small 4x4 with lots of unpainted plastic mouldings to enhance the trademark Jeep toughness, while brand loyalists will be pleased to see the seven-bar grille is flanked by circular headlights. 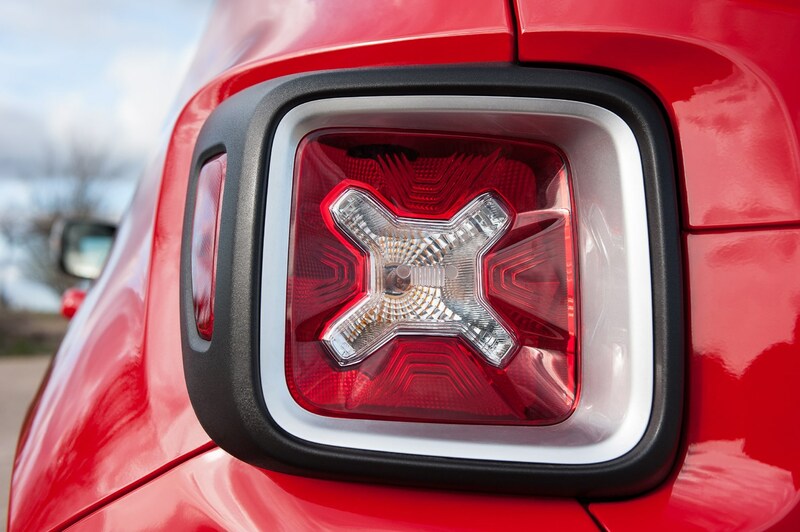 Much of it peppered with 'X'-shaped detailing, most obvious within the protruding tail lights. 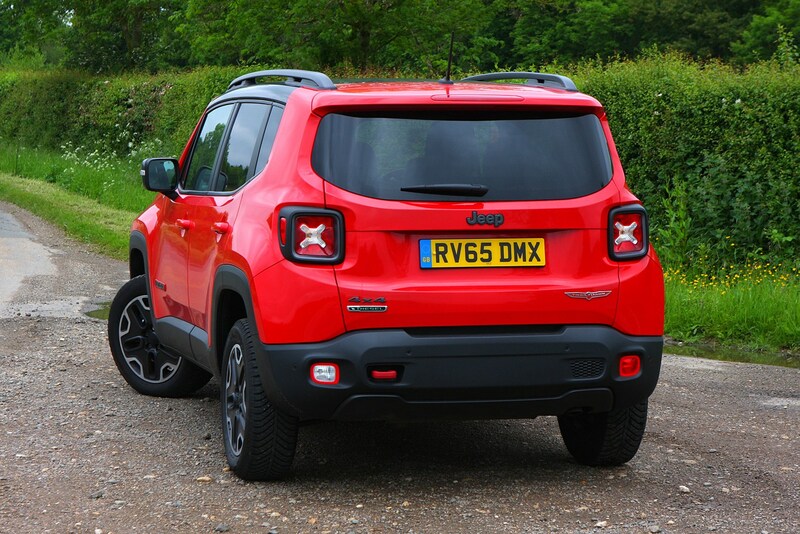 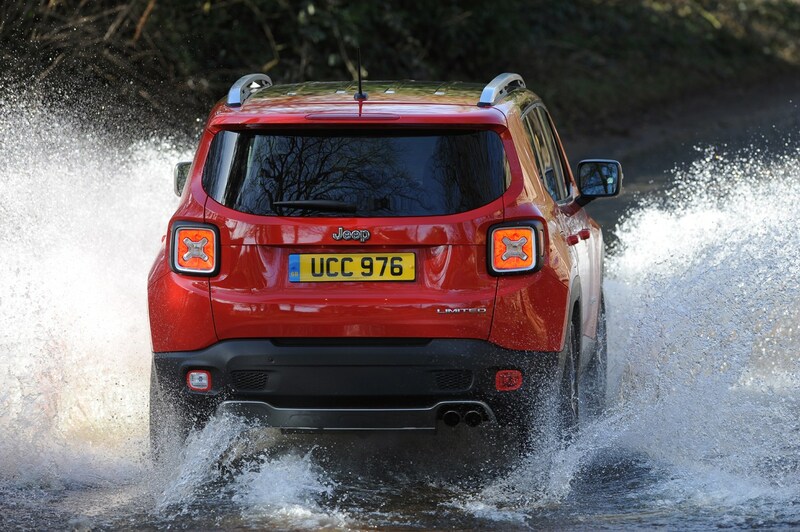 Jeep refers to this as 'Tek-Tonic' but essentially it means for all it's a smaller off-roader, there's a butchness about the Renegade that rivals simply don't possess. 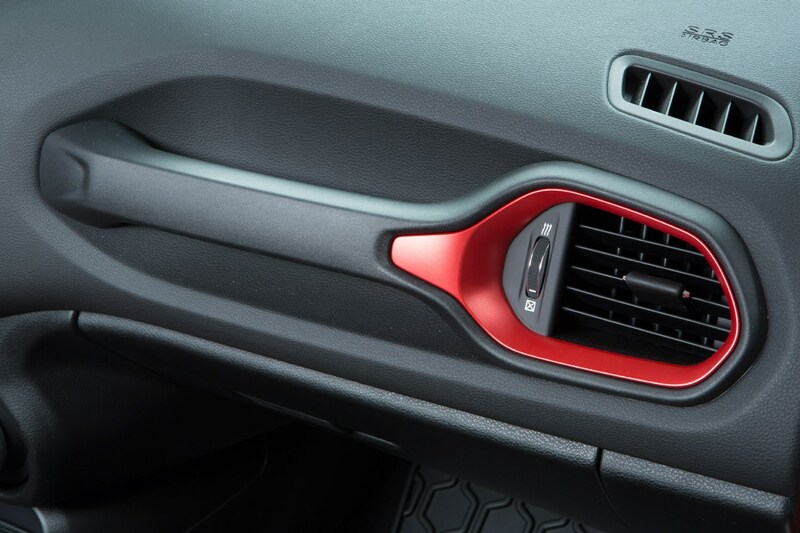 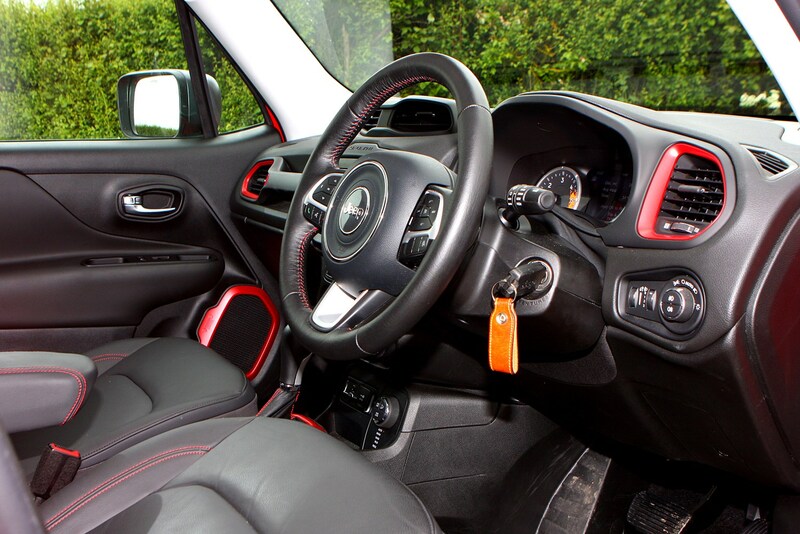 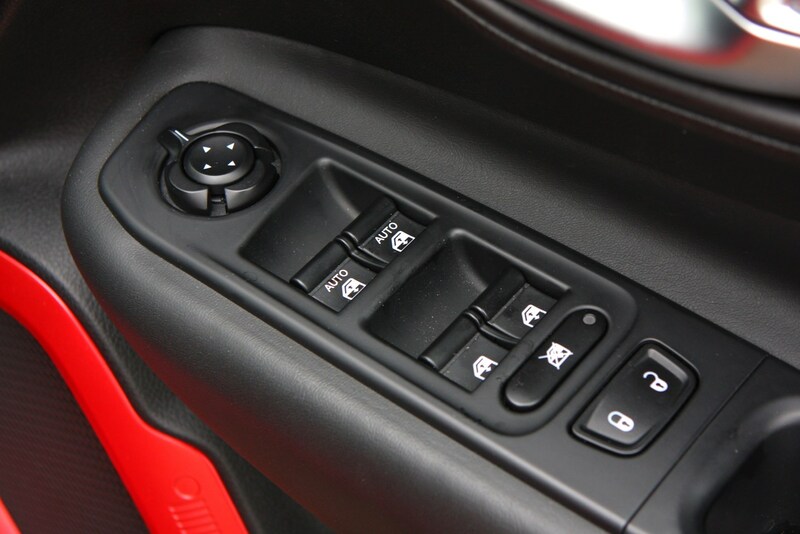 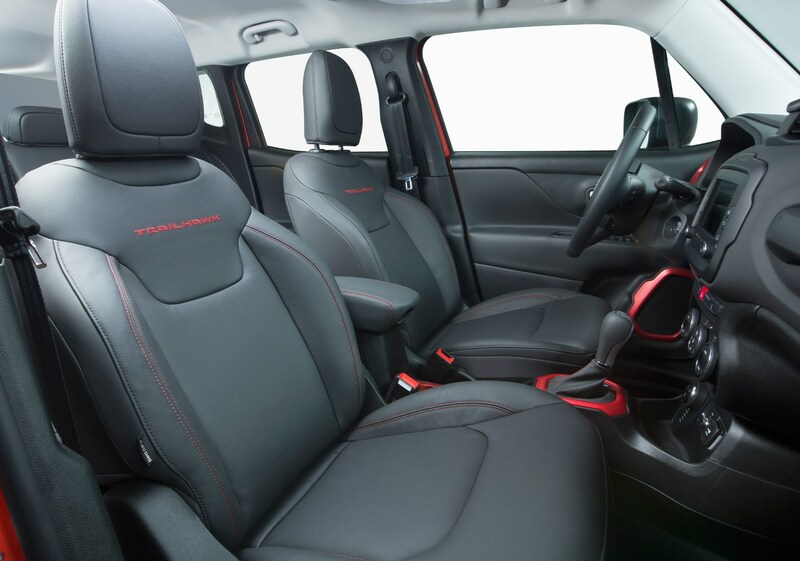 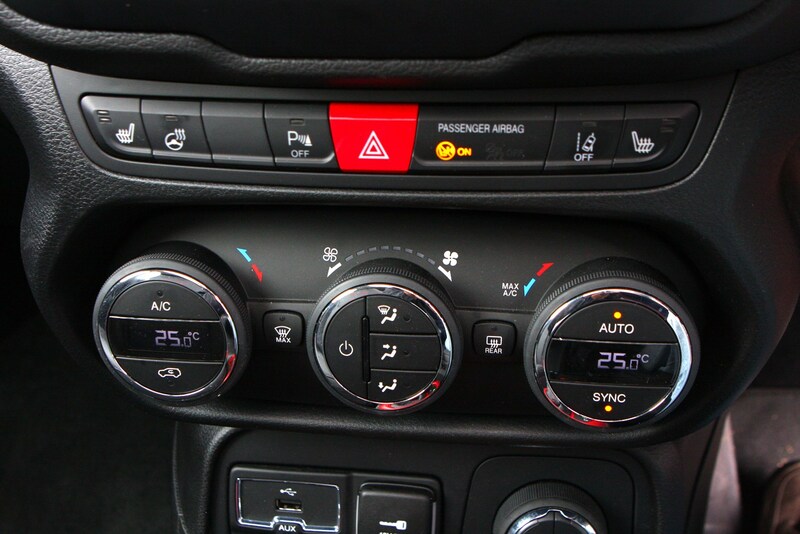 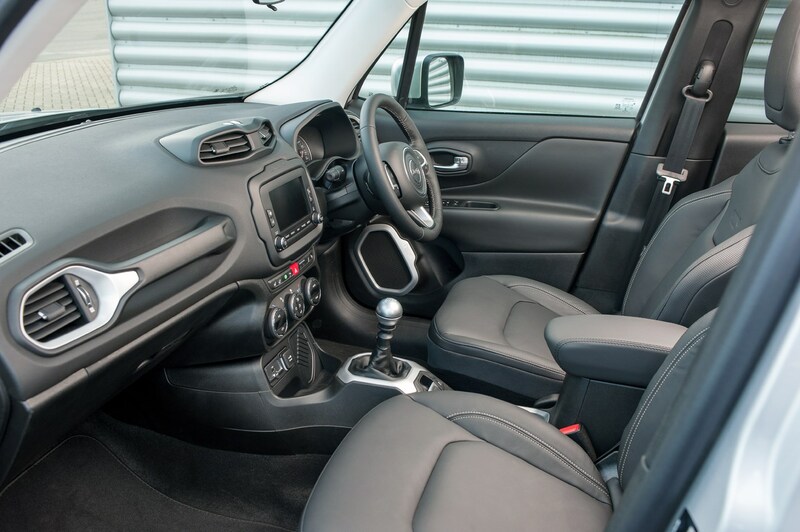 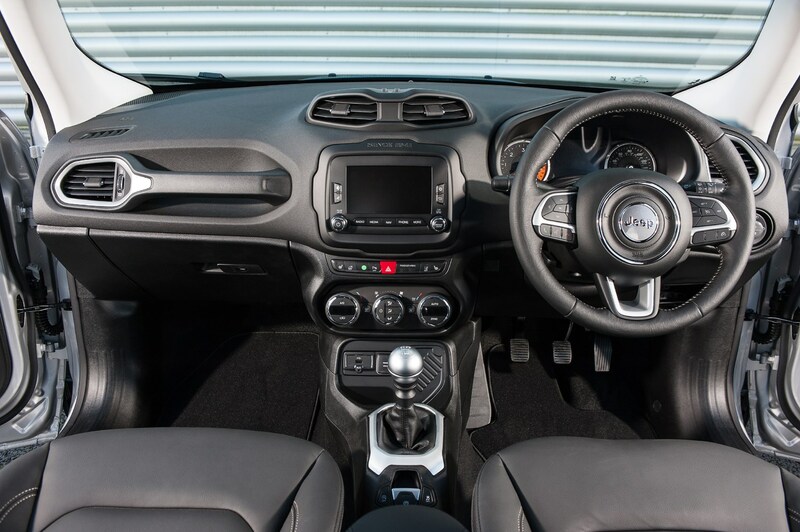 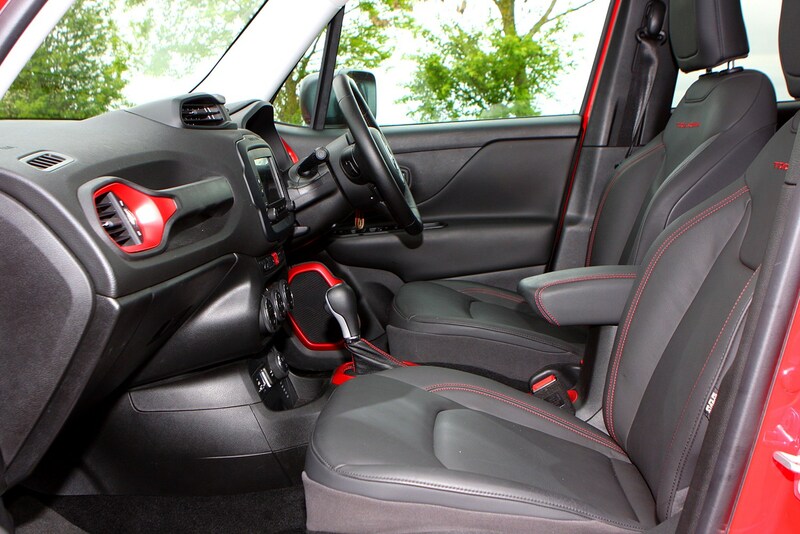 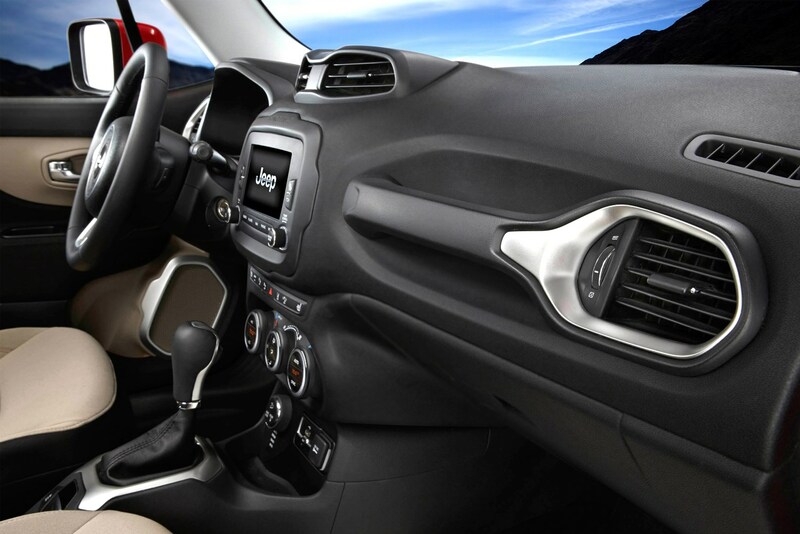 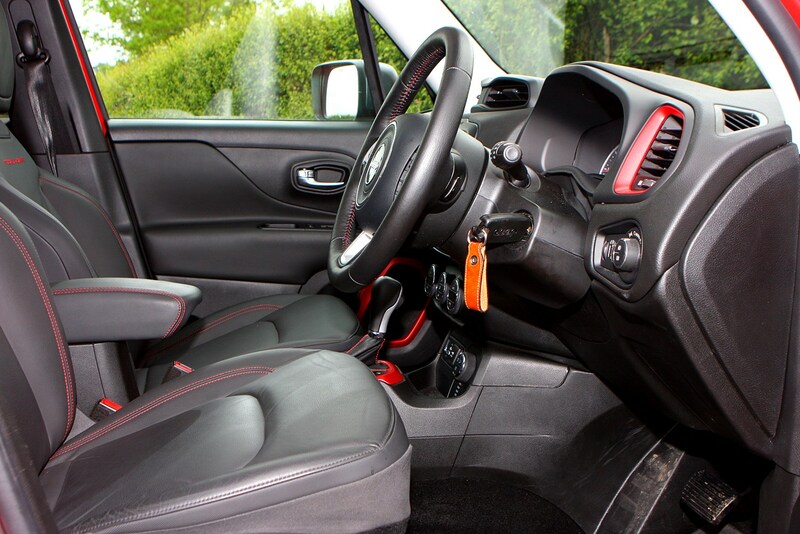 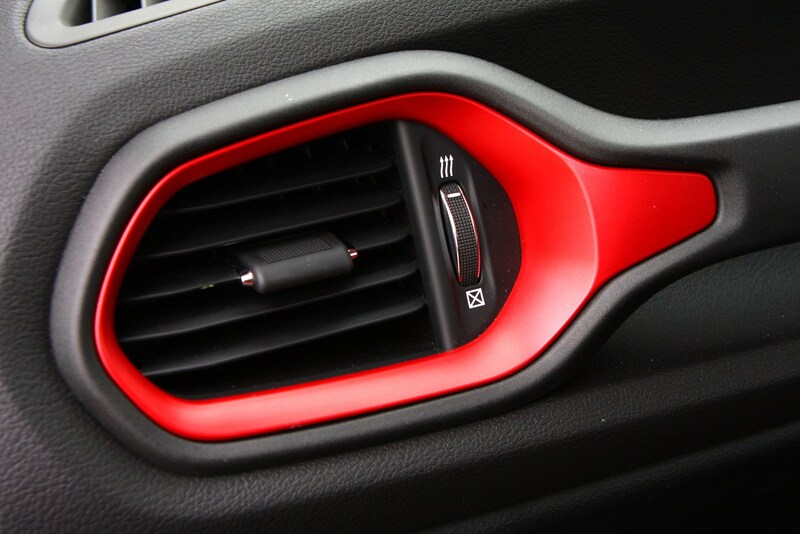 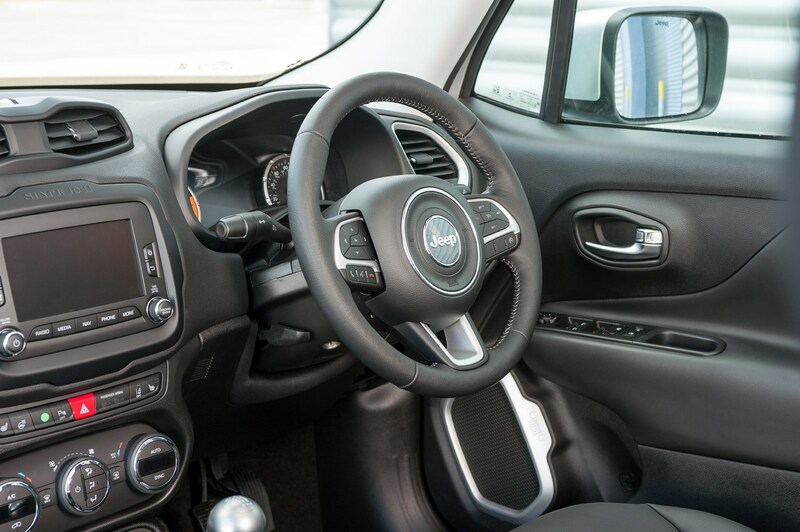 The interior looks contemporary, with some colourful touches among switchgear that looks familiar from various models from within the Fiat Group. 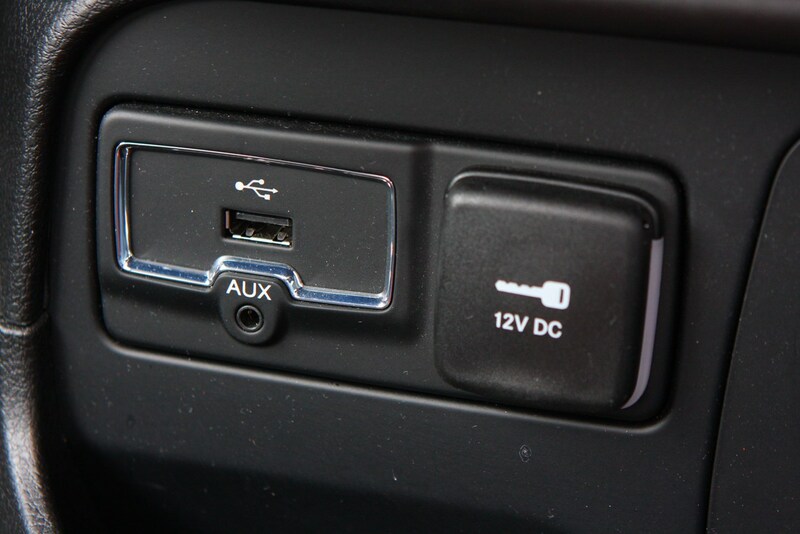 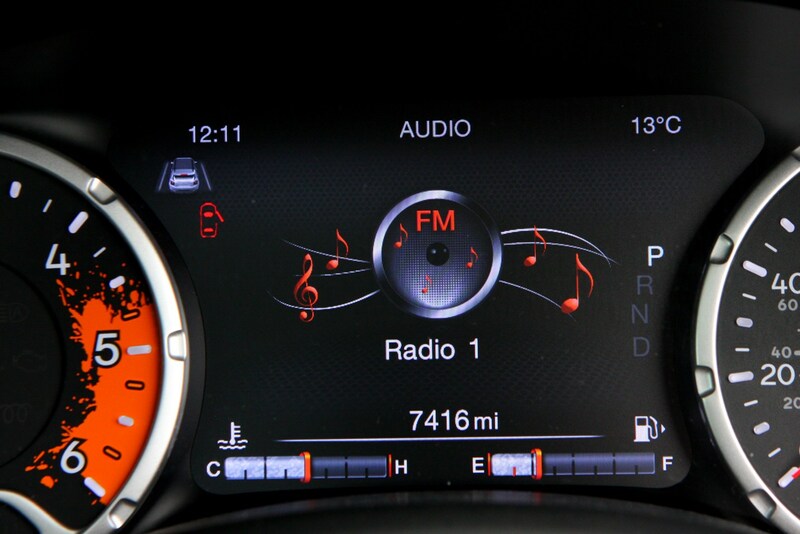 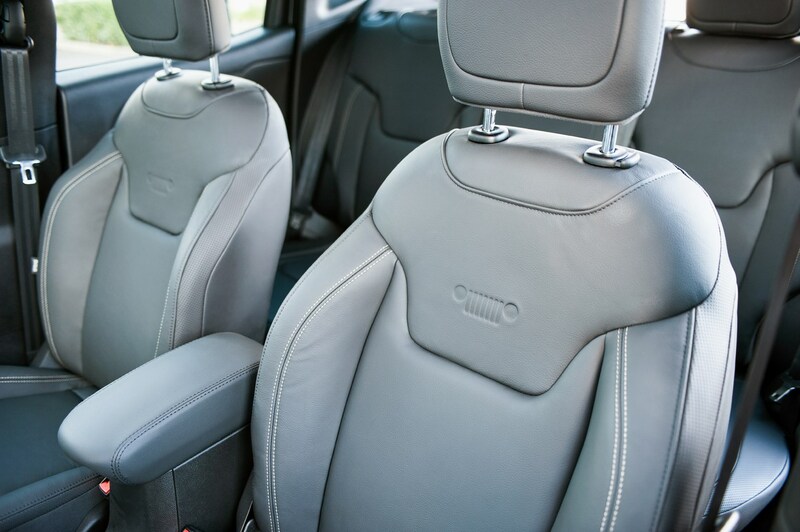 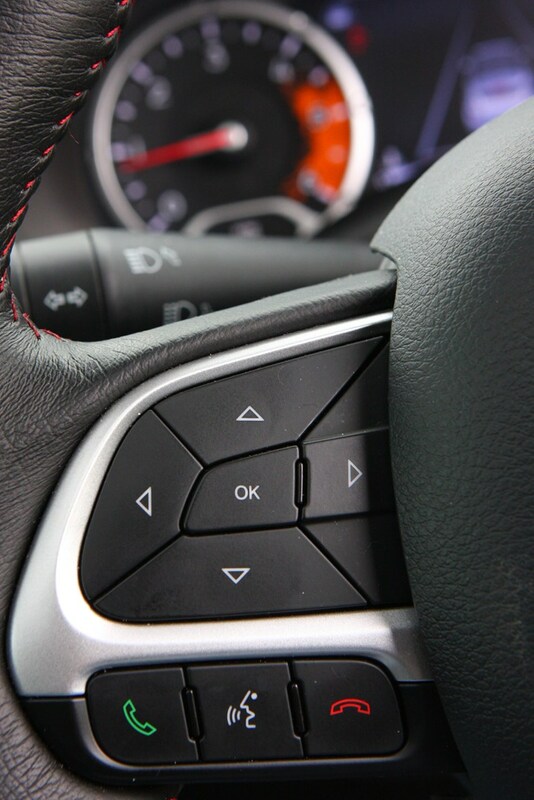 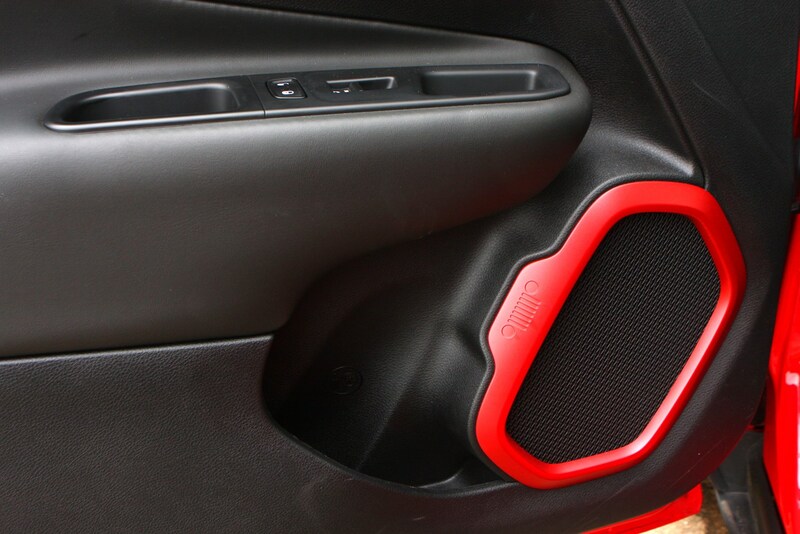 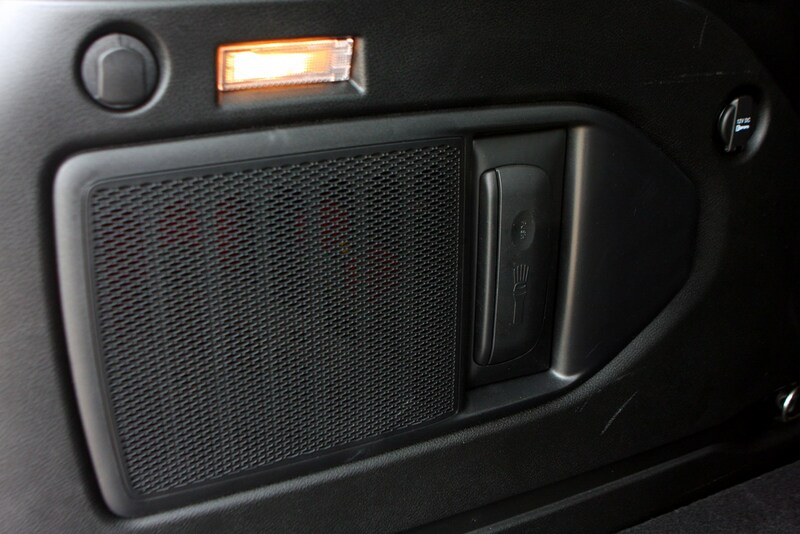 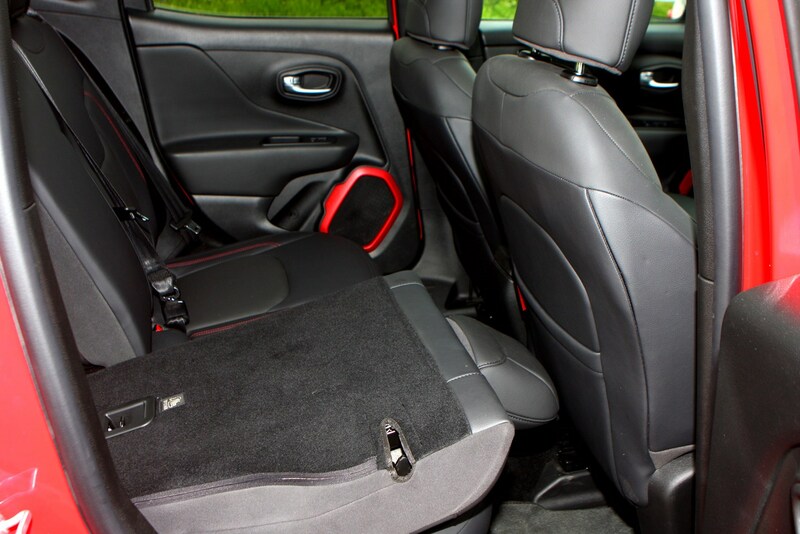 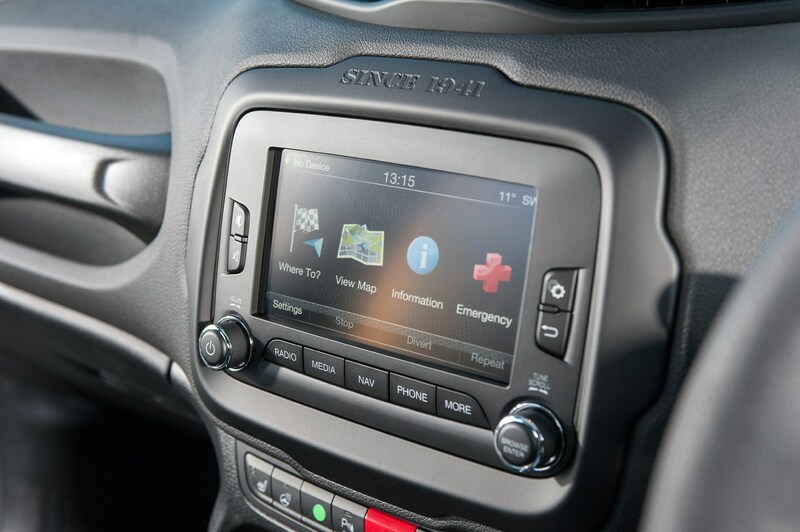 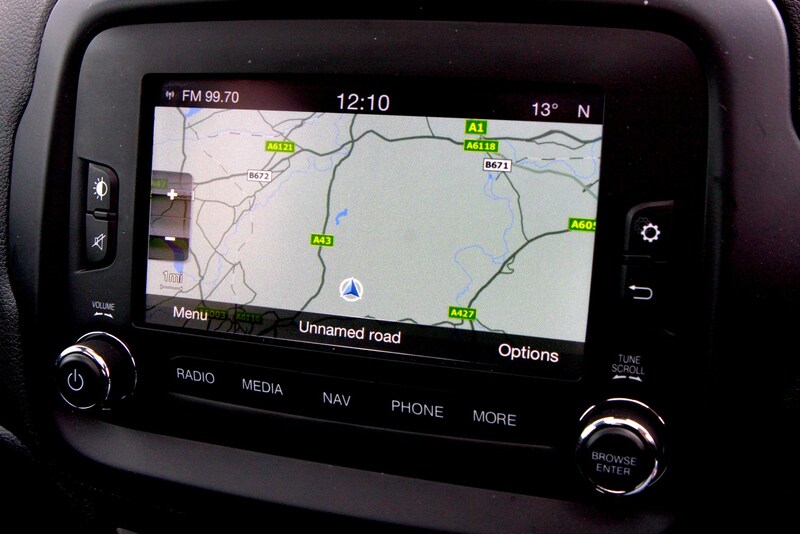 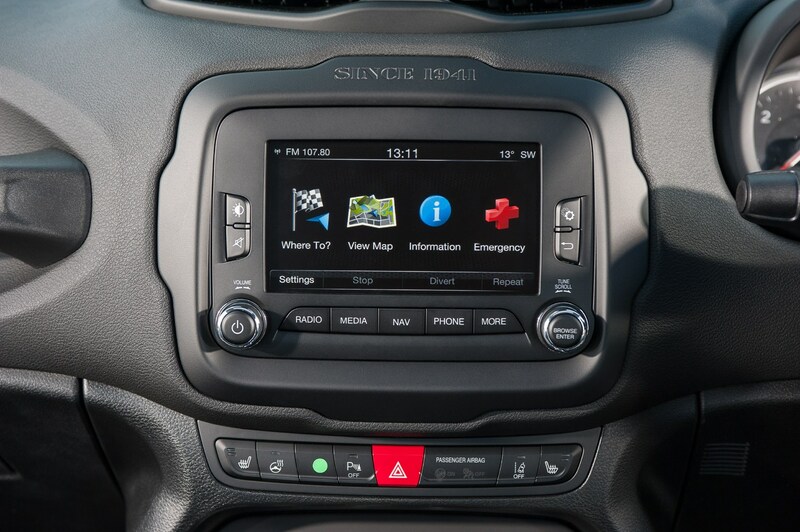 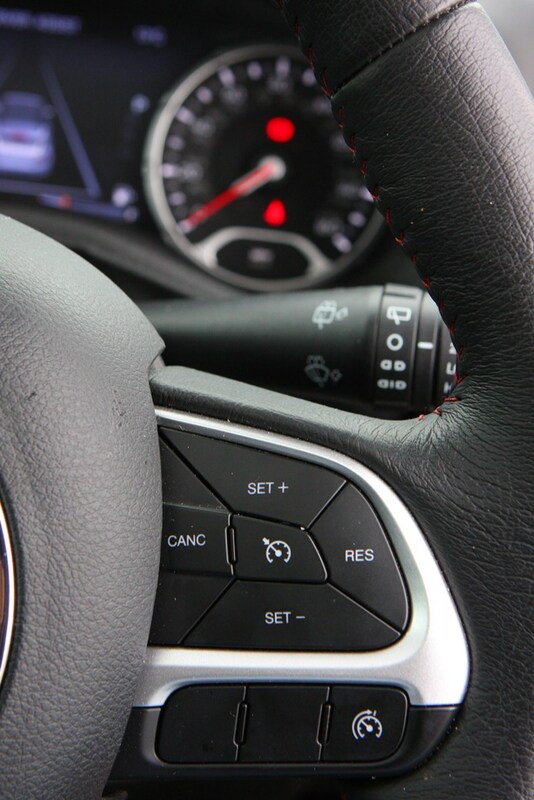 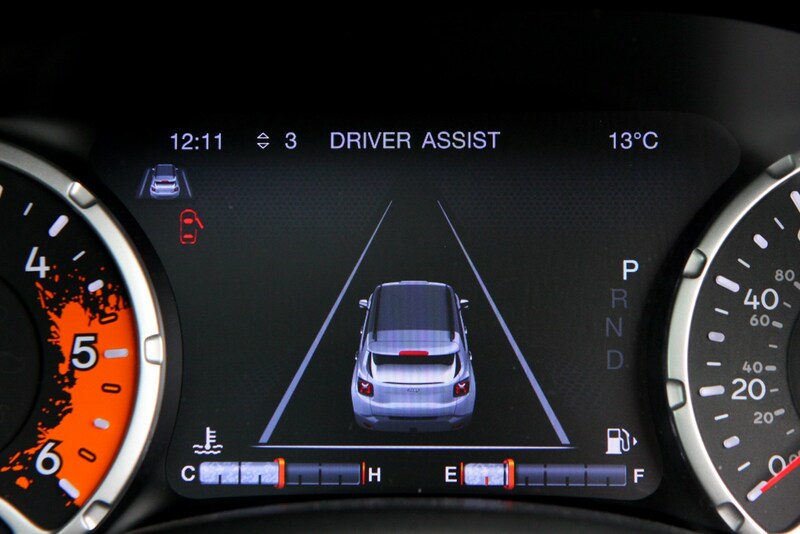 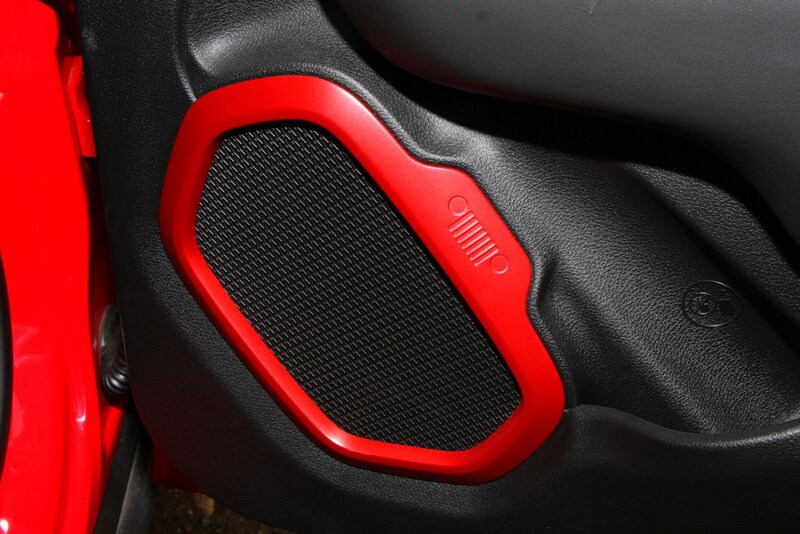 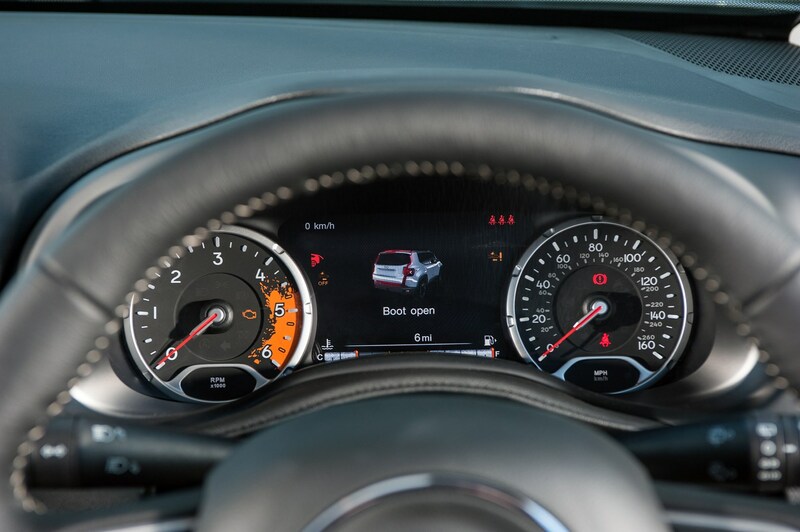 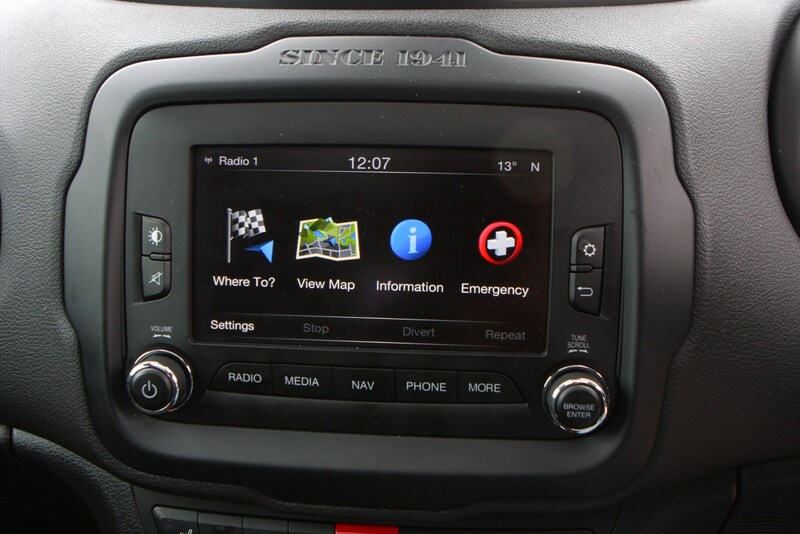 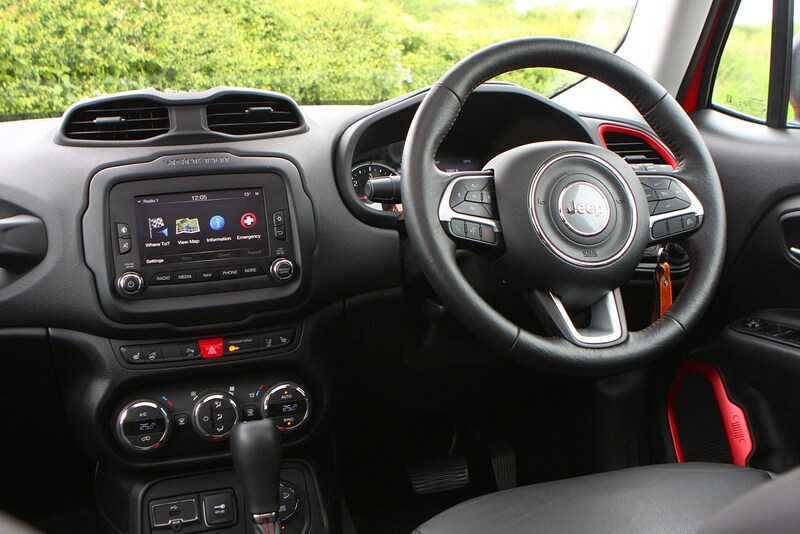 This includes the Uconnect infotainment system including Bluetooth and sat-nav functions. 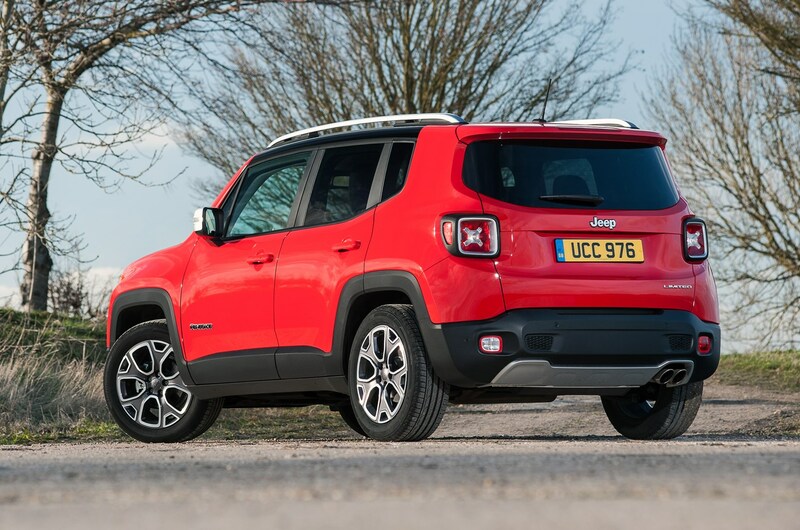 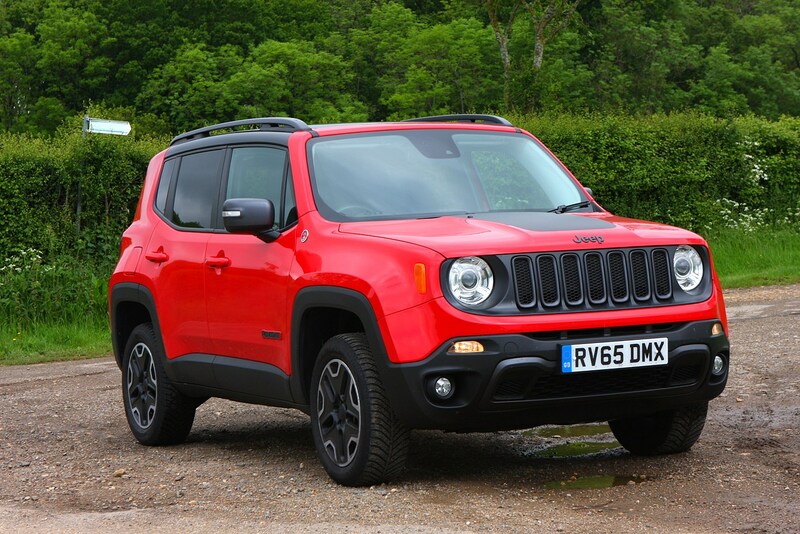 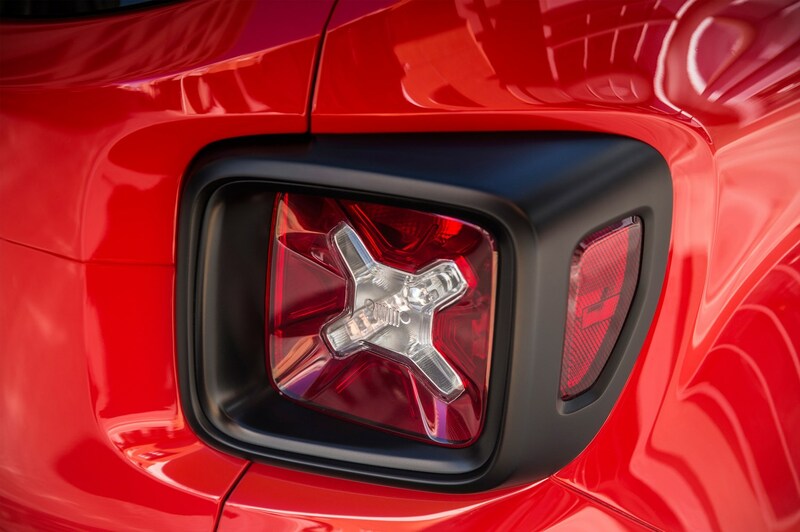 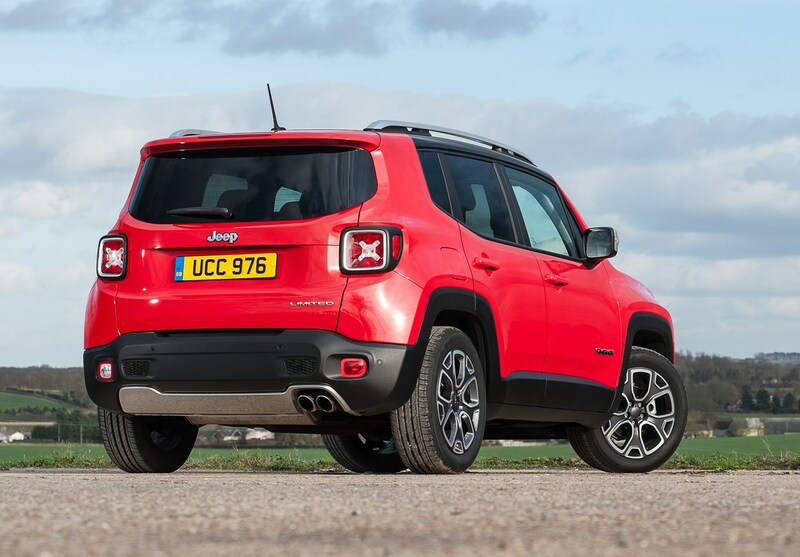 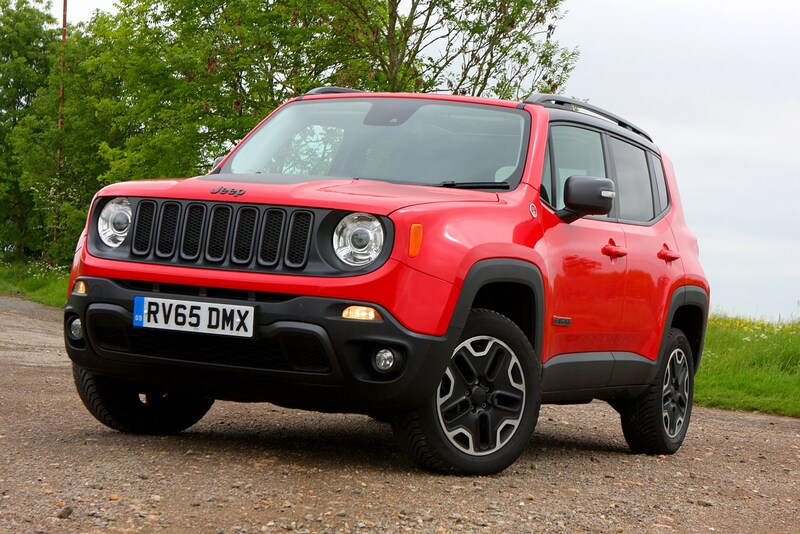 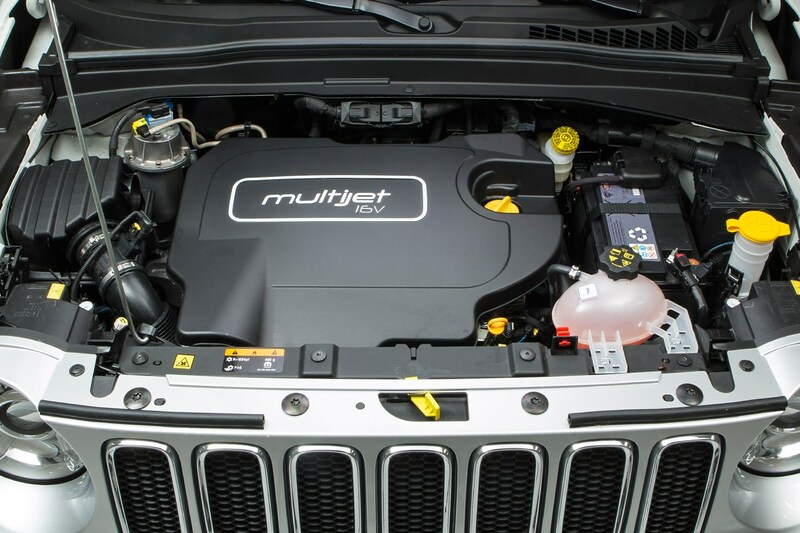 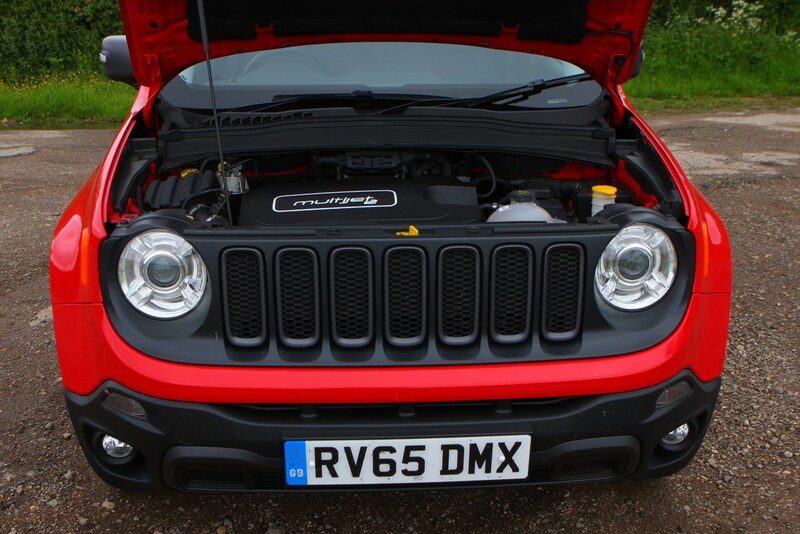 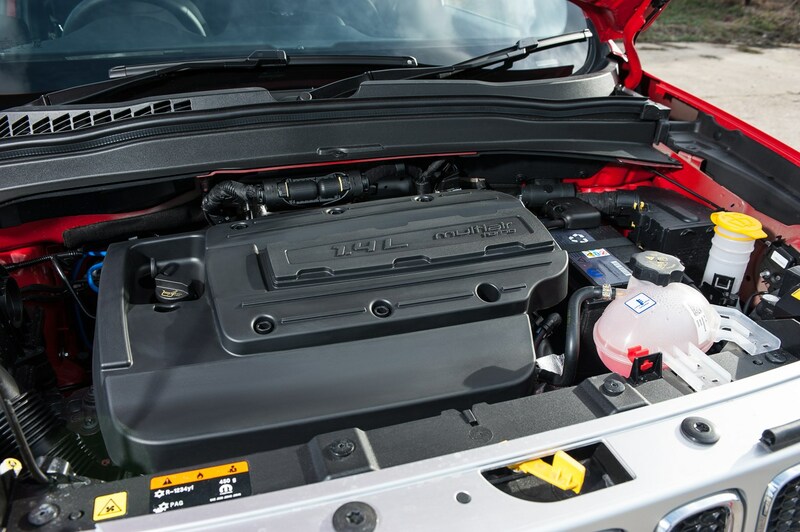 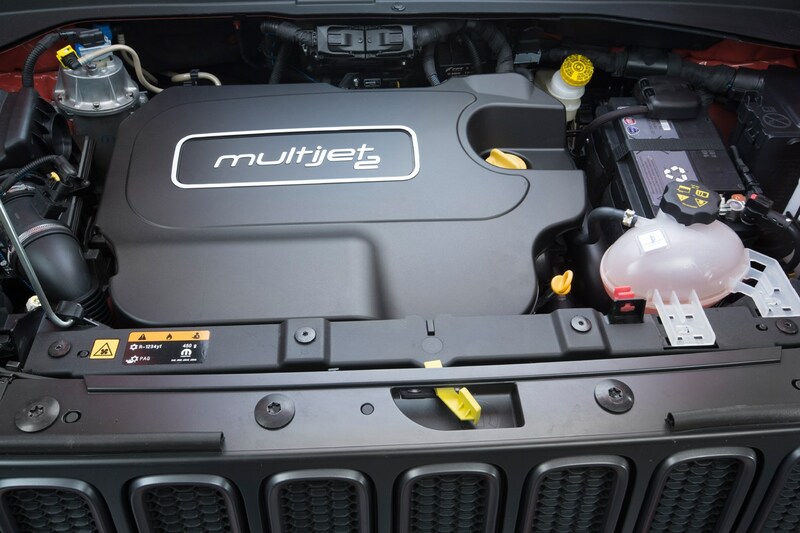 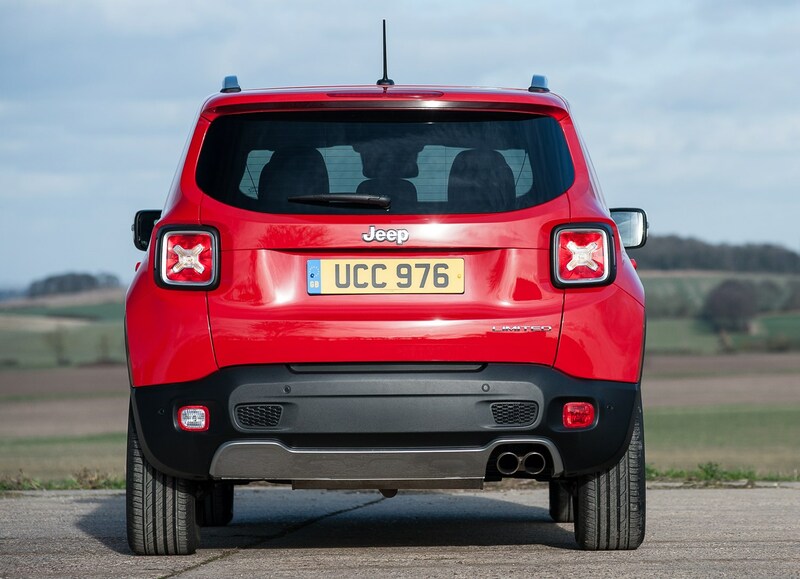 Which engines will make it to the UK is still to be clarified, but in theory the Jeep Renegade comes with a choice of four MultiAir petrol engine choices and two MultiJet diesels, all of which are turbocharged for performance and efficiency. 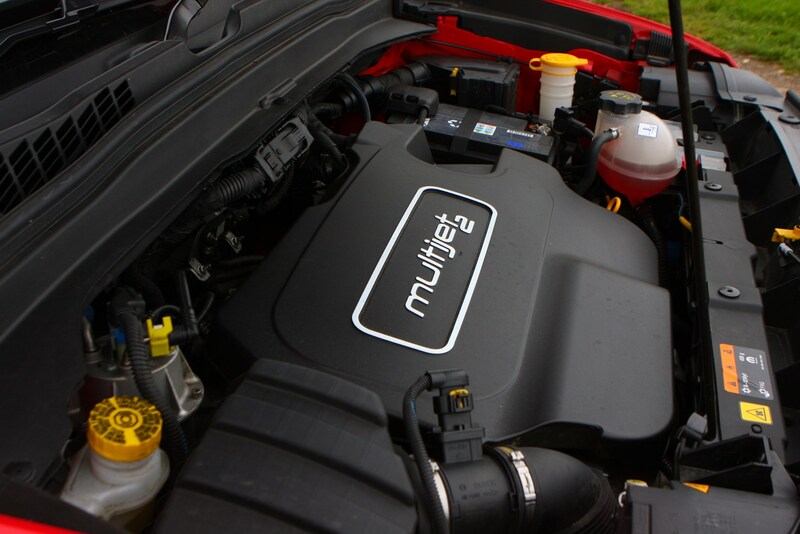 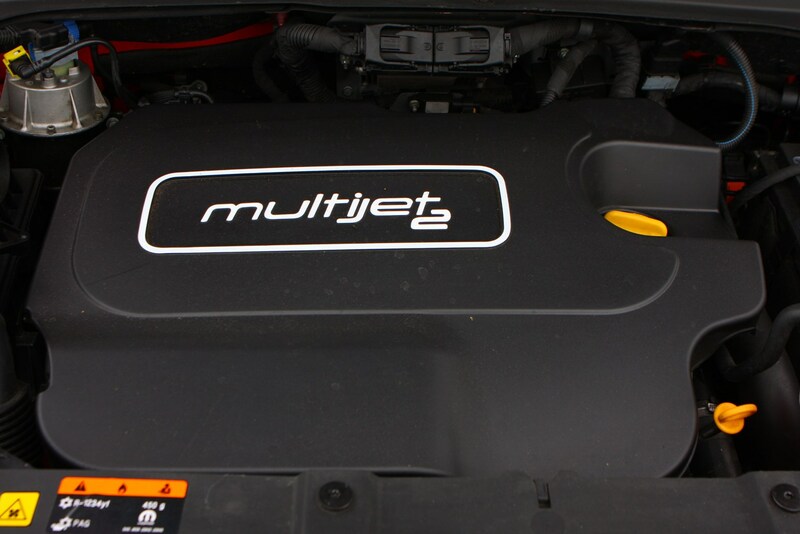 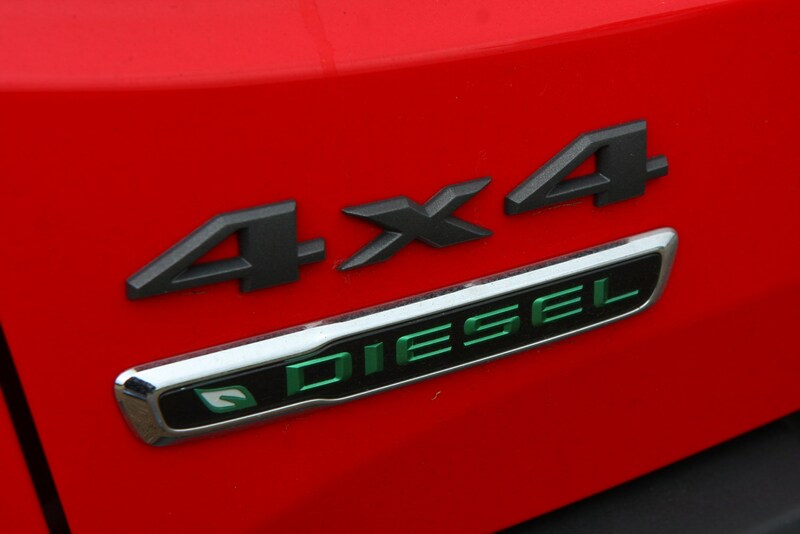 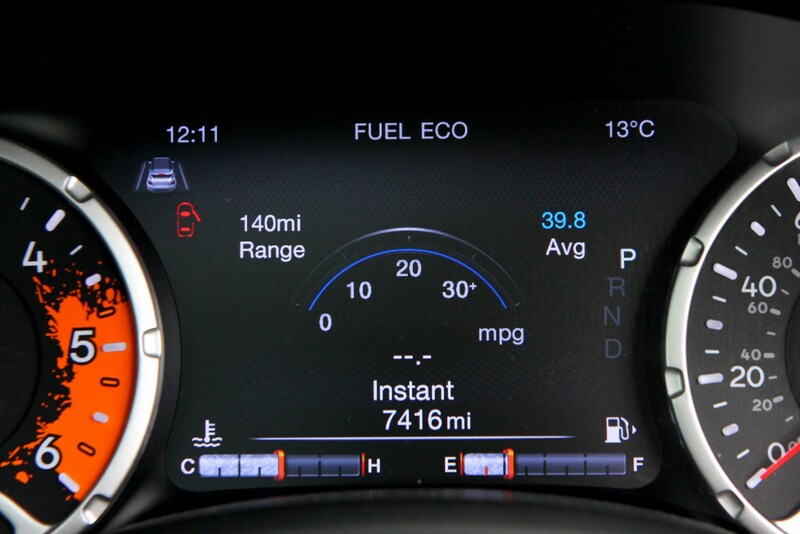 We've driven the 1.4-litre Multiair, which we expect to be the only offering in the UK, along with both diesels. 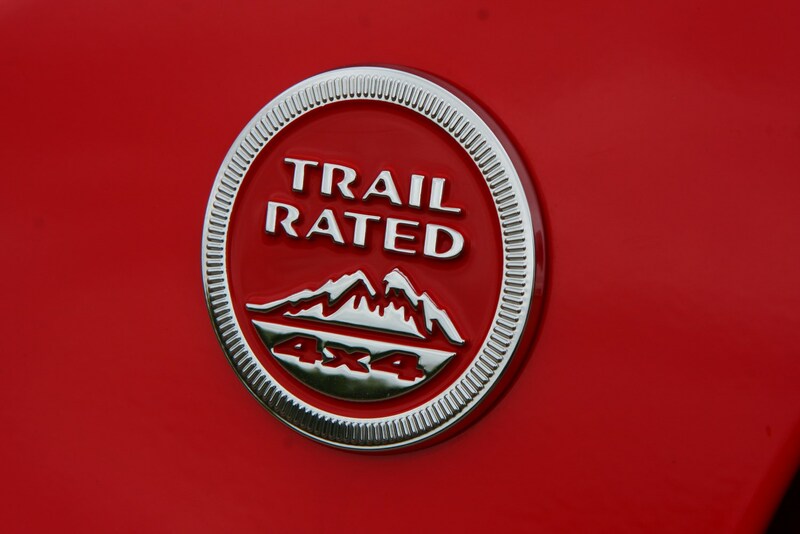 Find out how they fare in the Performance section of this review. 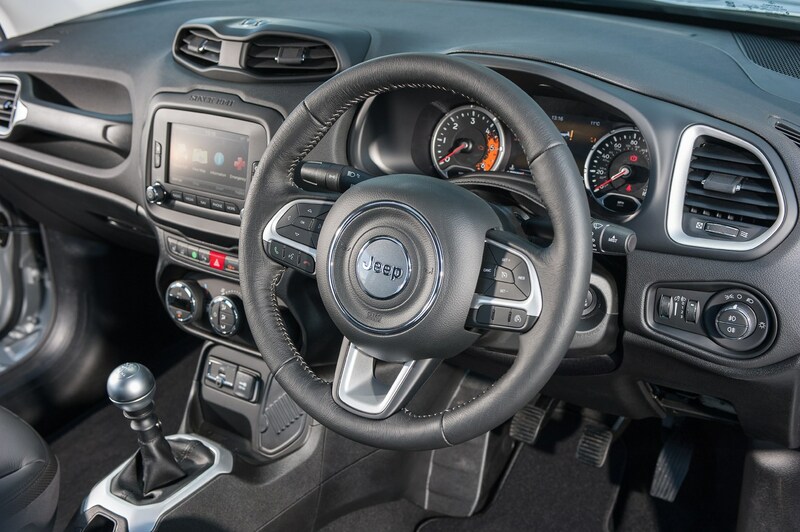 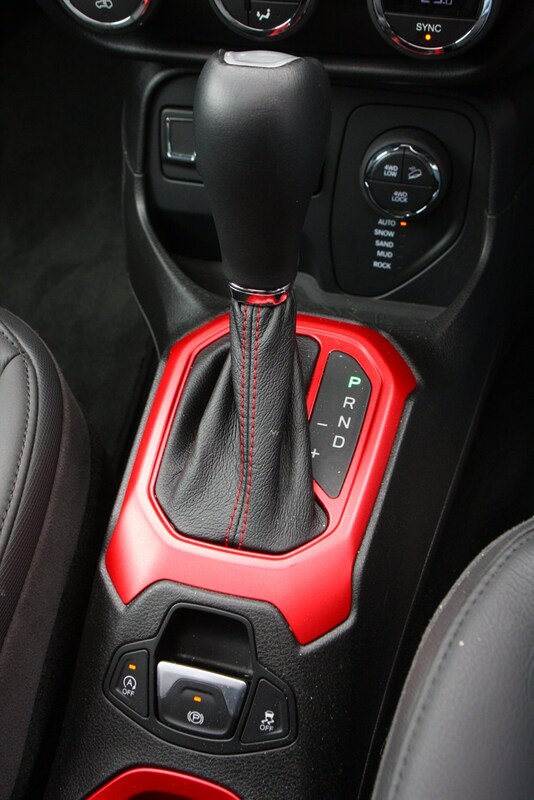 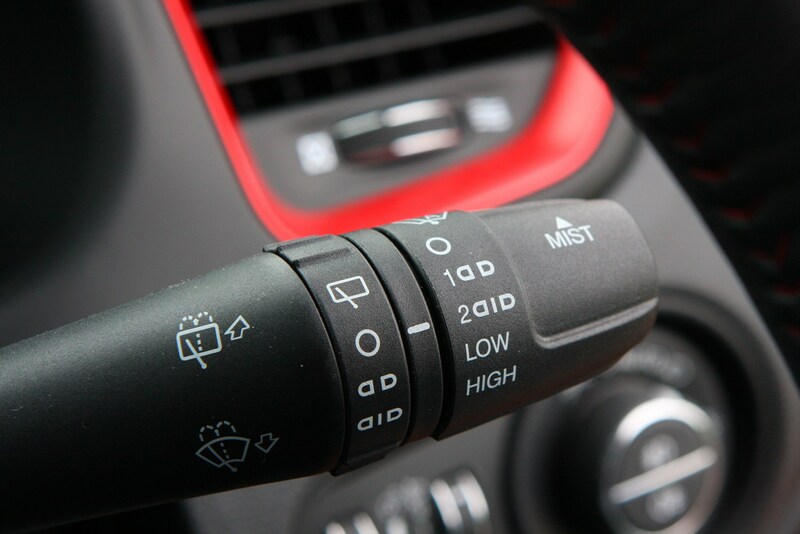 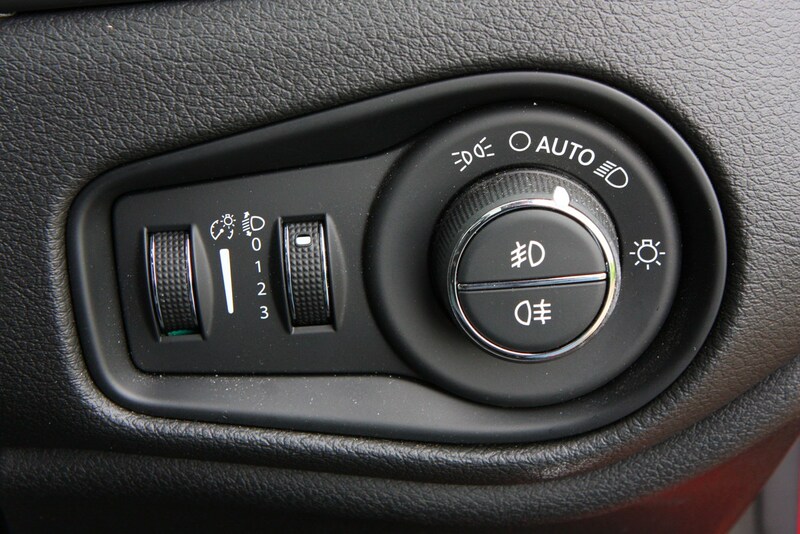 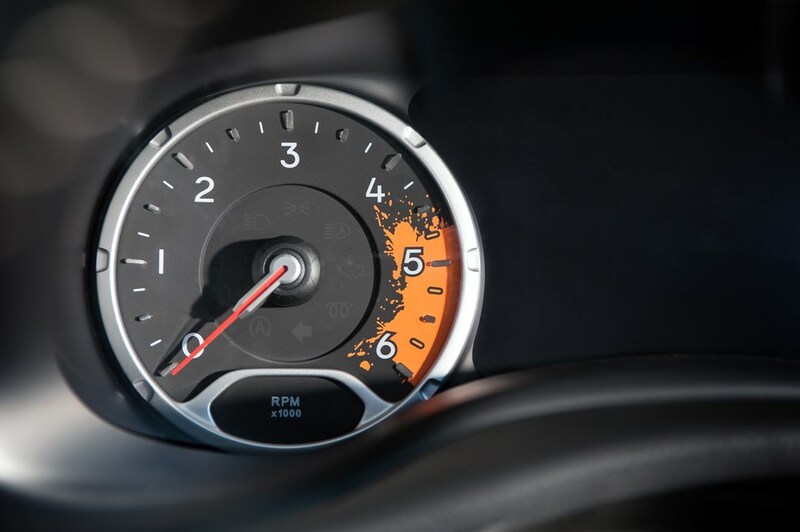 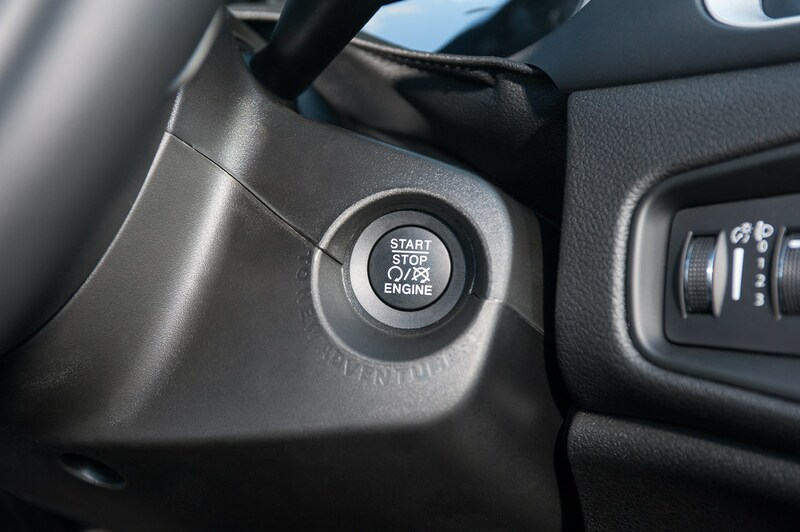 Further reducing fuel consumption is stop/start technology and an optional nine-speed fully automatic transmission, which we are particularly fond of. 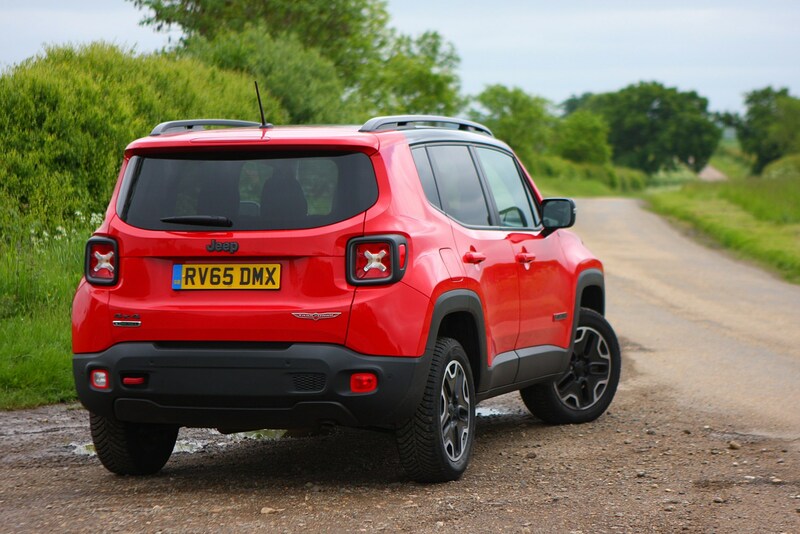 Jeep claims the new Renegade is a proper 4x4 in the best traditions of the brand, although it does revert to fuel economy boosting front-wheel drive mode when all-wheel traction isn't needed. 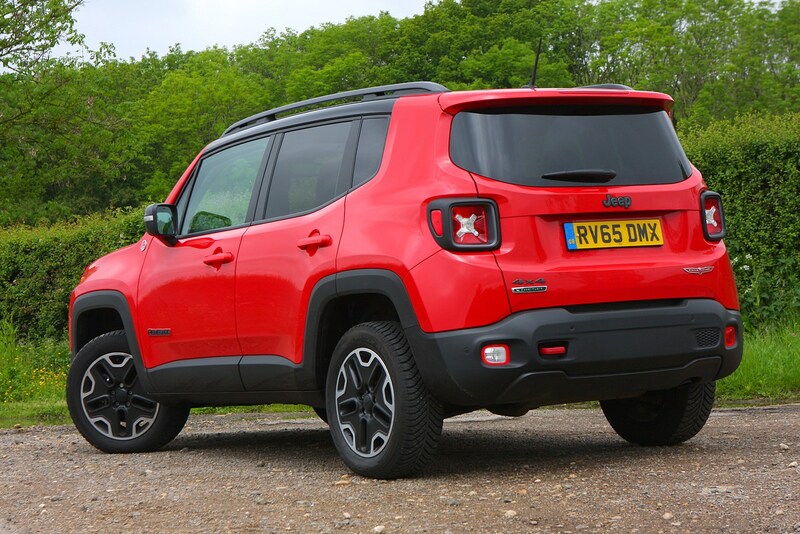 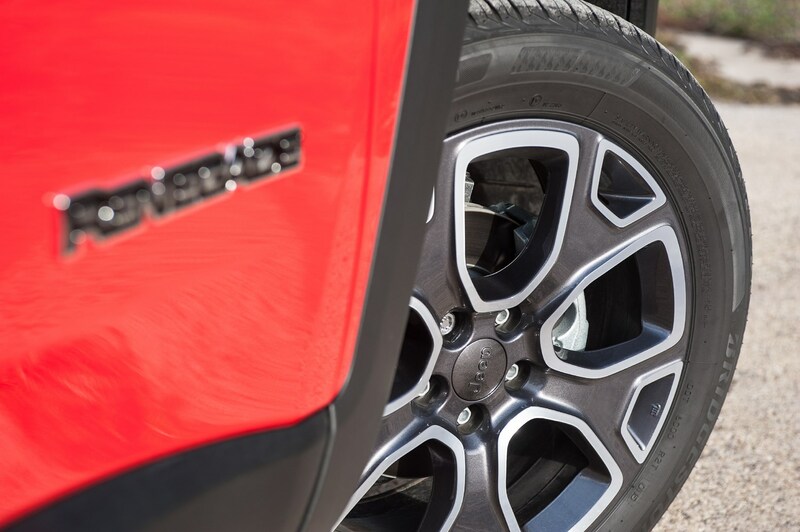 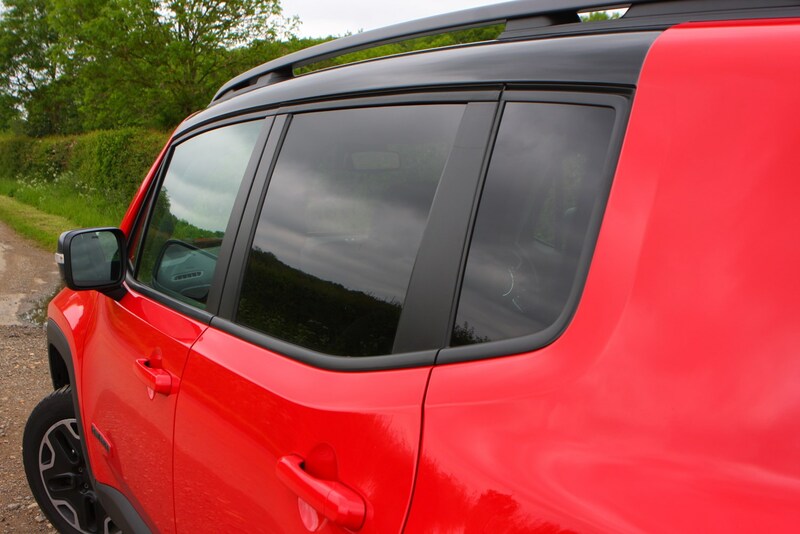 Range-topping Trailhawk versions further benefit with a system that allows the Renegade to climb a 1:20 gradient, together with an extra 15mm of ground clearance for more challenging off-roading. 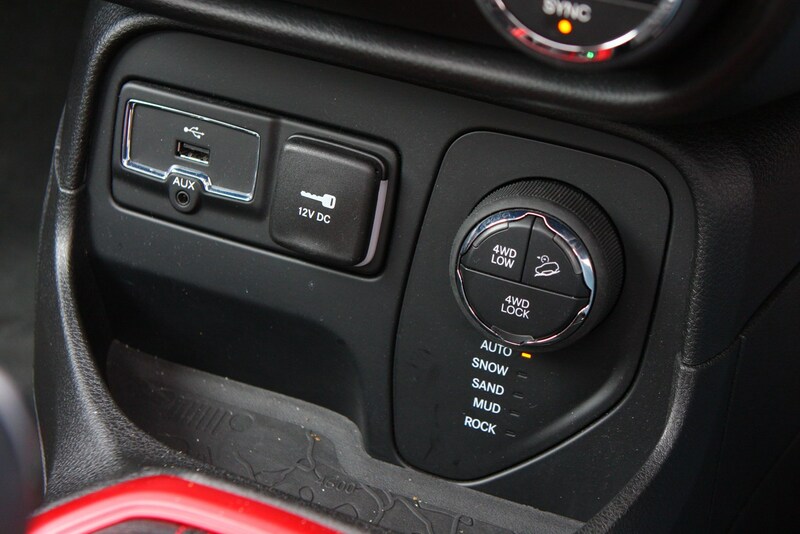 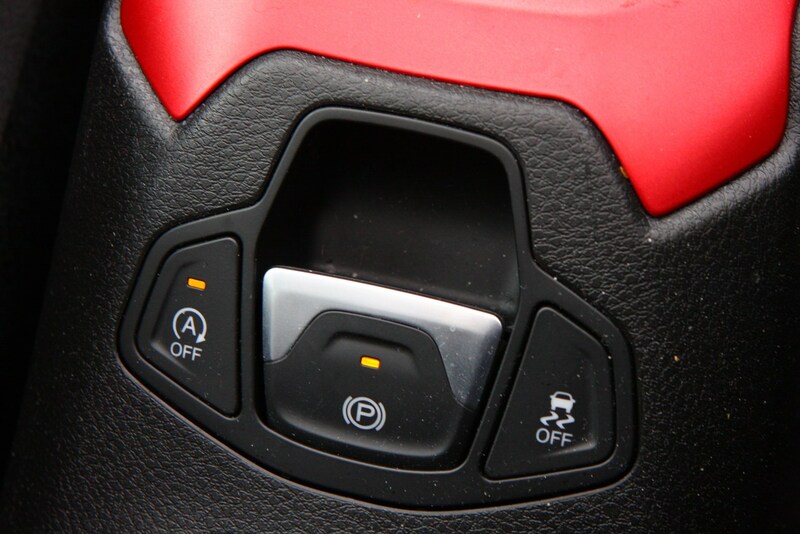 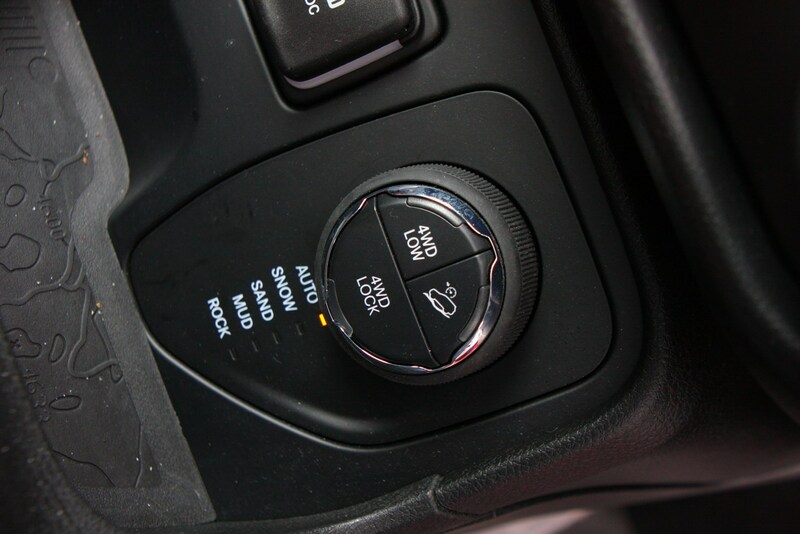 Adjustable 'Selec-Terrain' system has up to five driving modes depending on conditions; Auto, Mud, Snow, Sand feature on all 4x4 Renegades, with the Trailhawk exclusively featuring a Rock mode too for the ultimate in rough conditions. 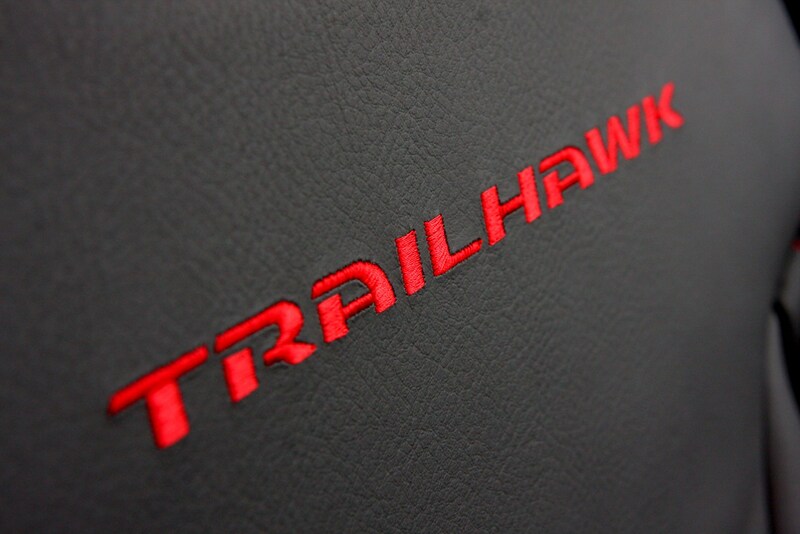 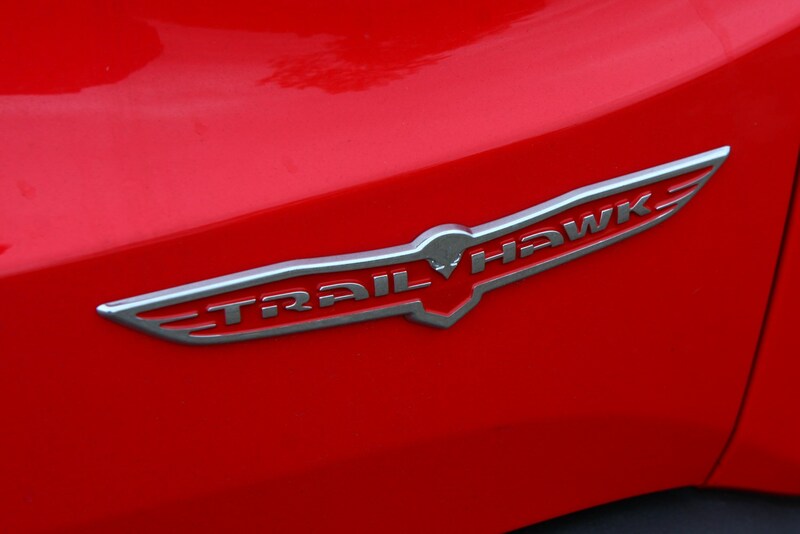 The way the Trailhawk tackles severe off-roading challenges is uncanny. 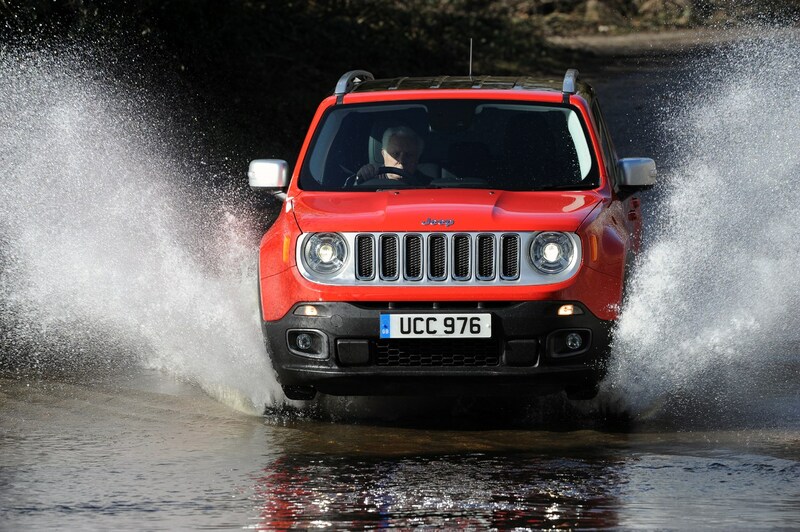 This really is a car capable of impressive stuff when the going gets rough. 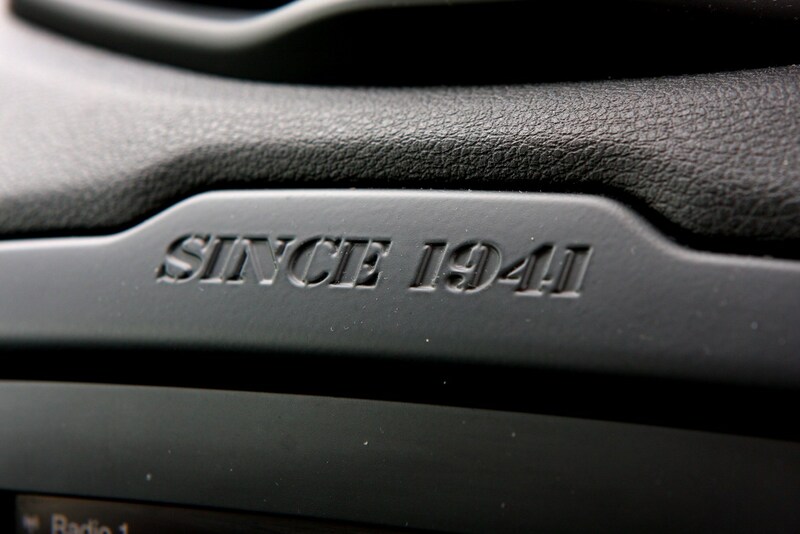 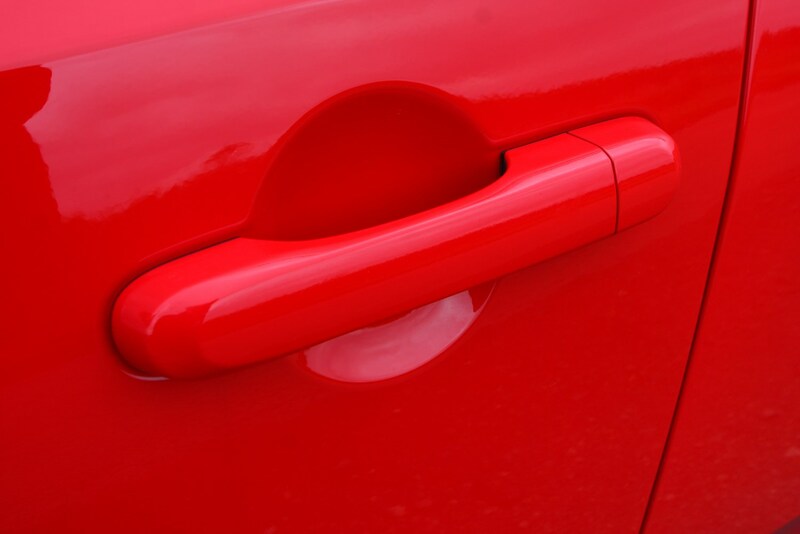 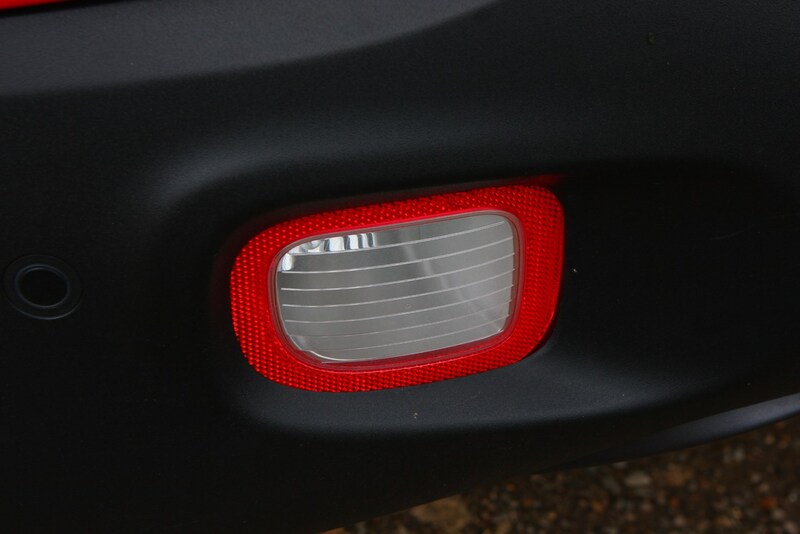 We're expecting pricing and trim details to be announced early in 2015, and sales to begin shortly afterwards. 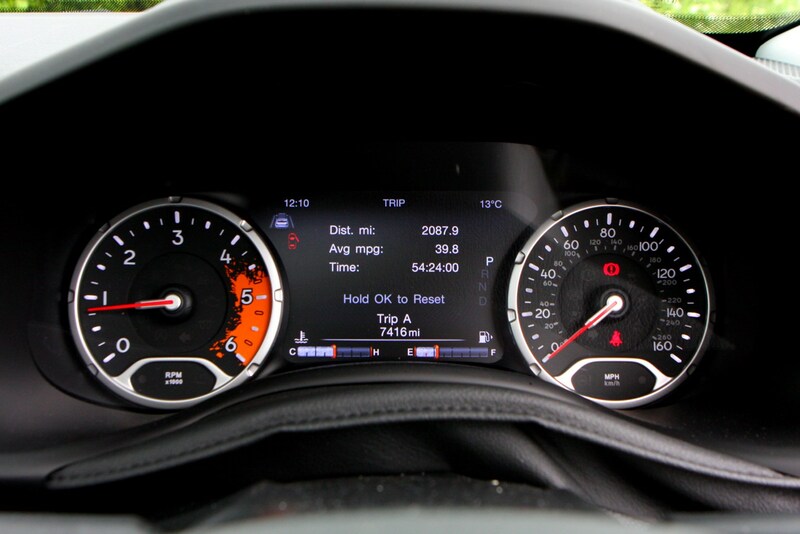 Fortunately Parkers was been among the first publications in the world to drive this new car. 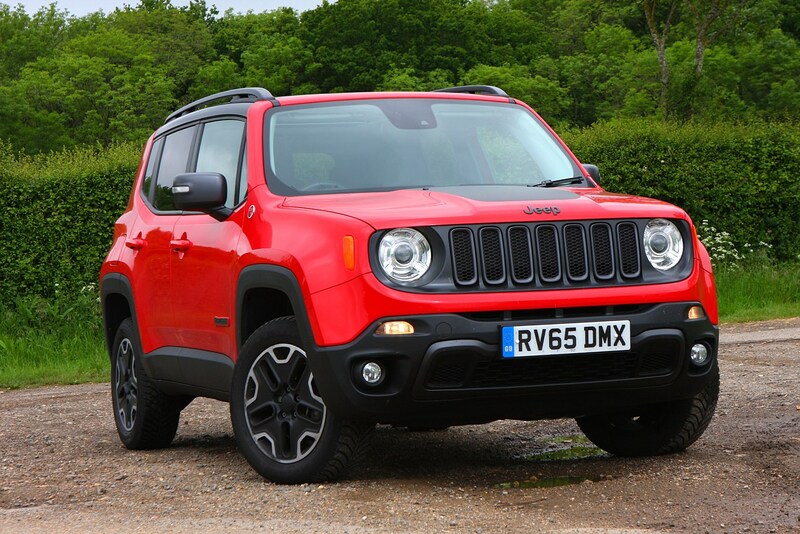 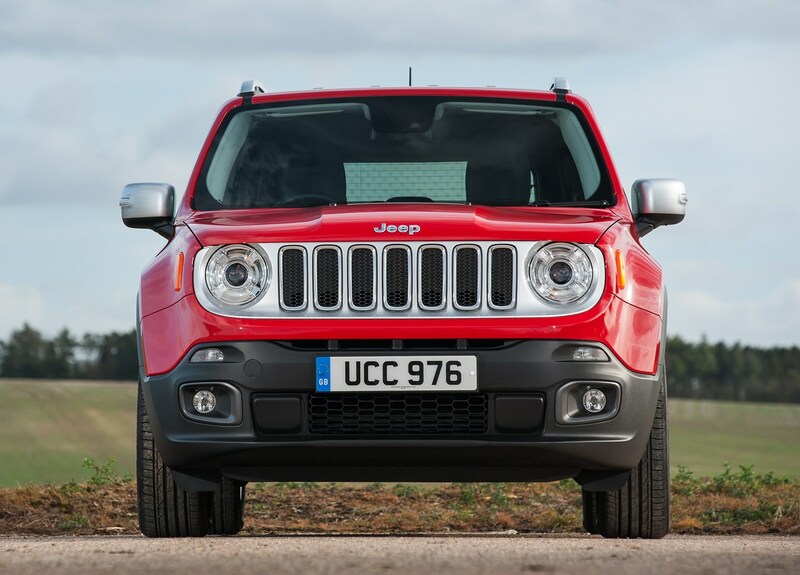 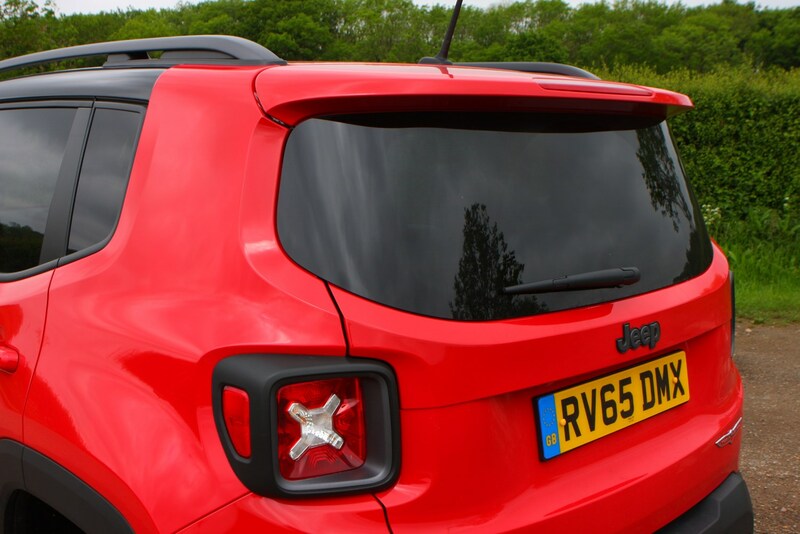 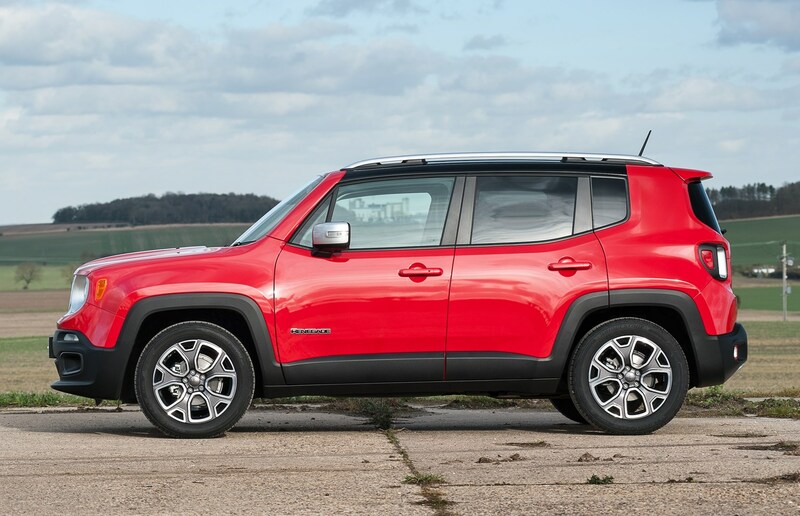 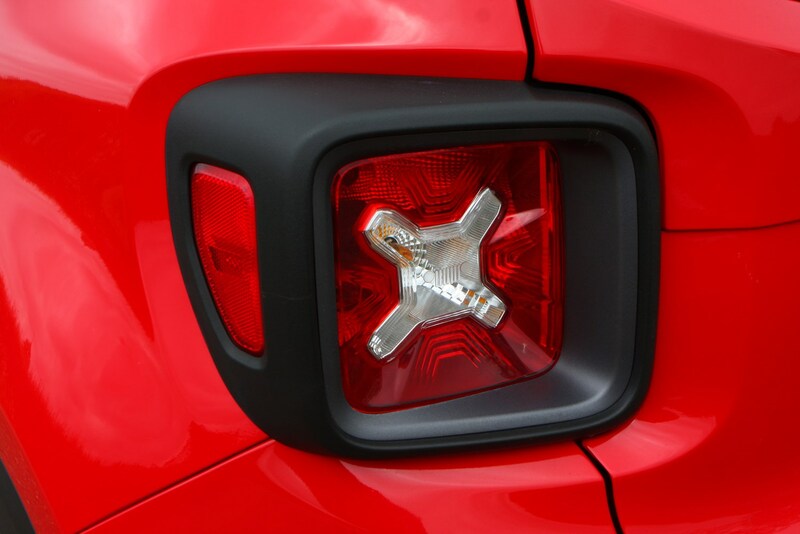 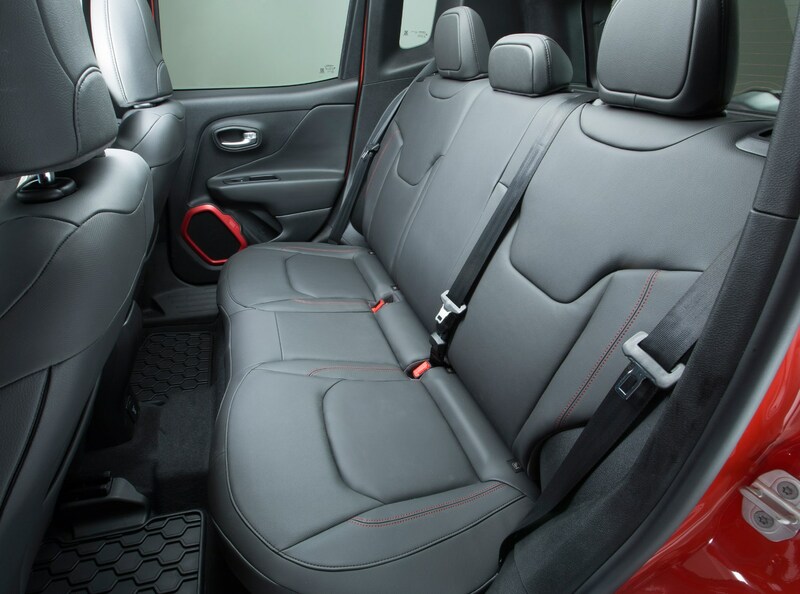 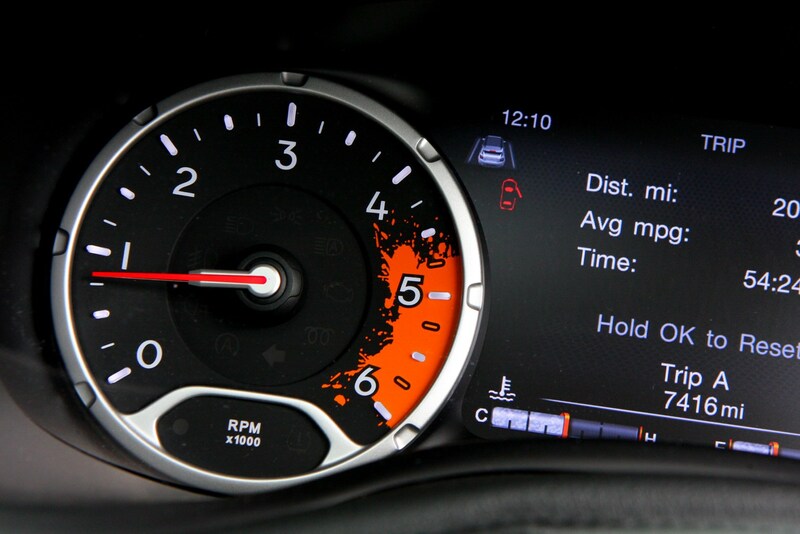 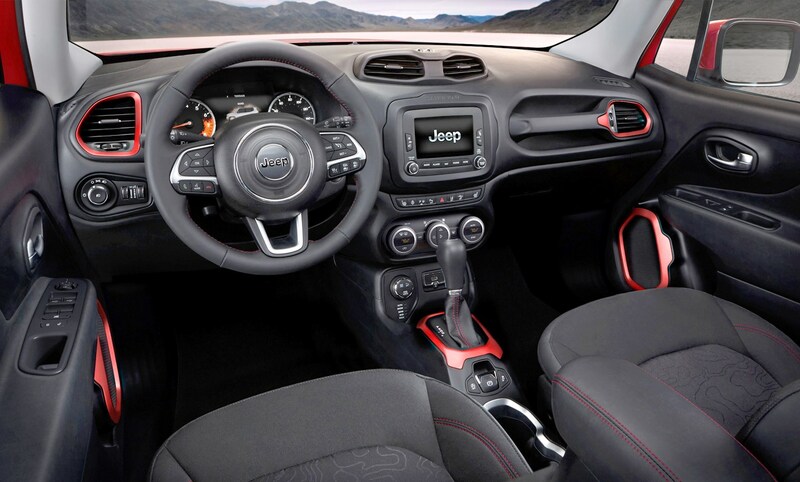 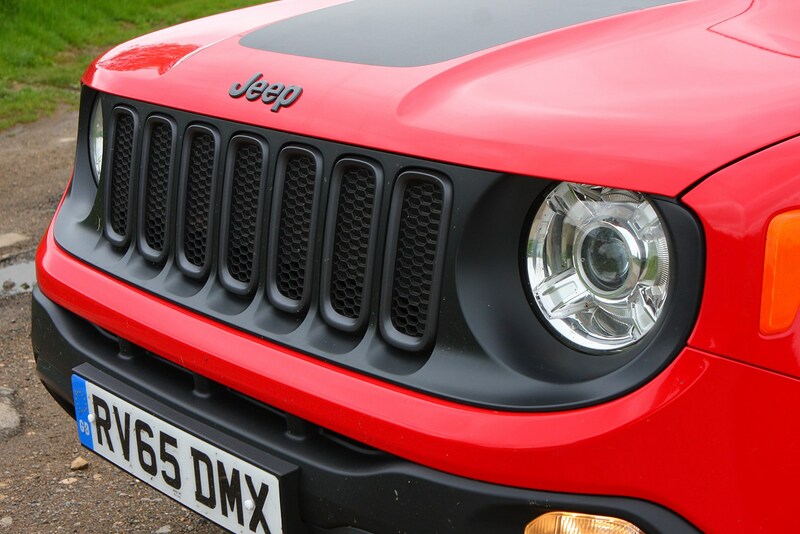 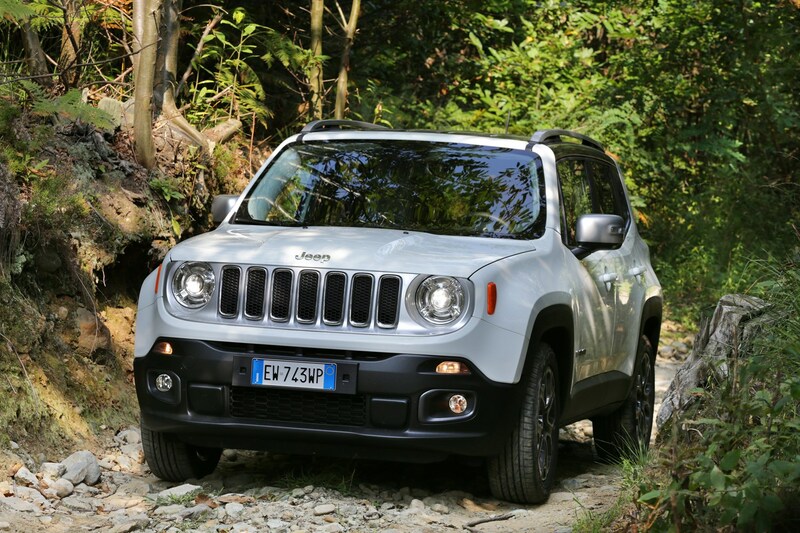 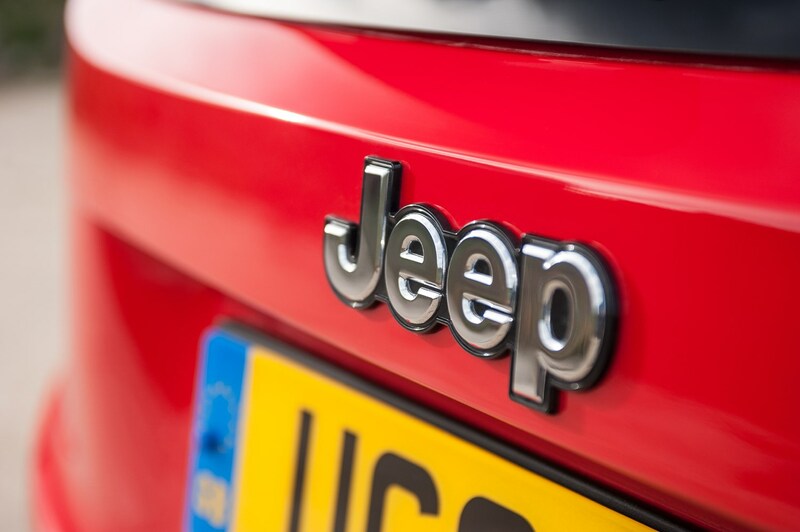 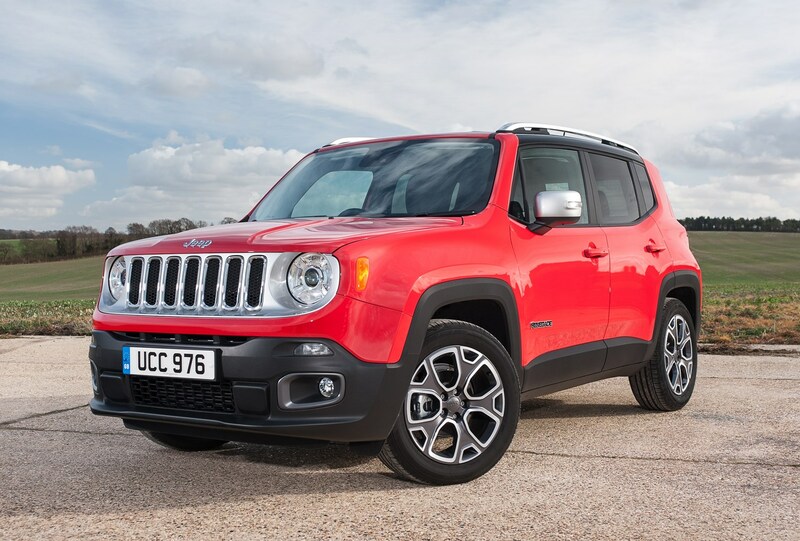 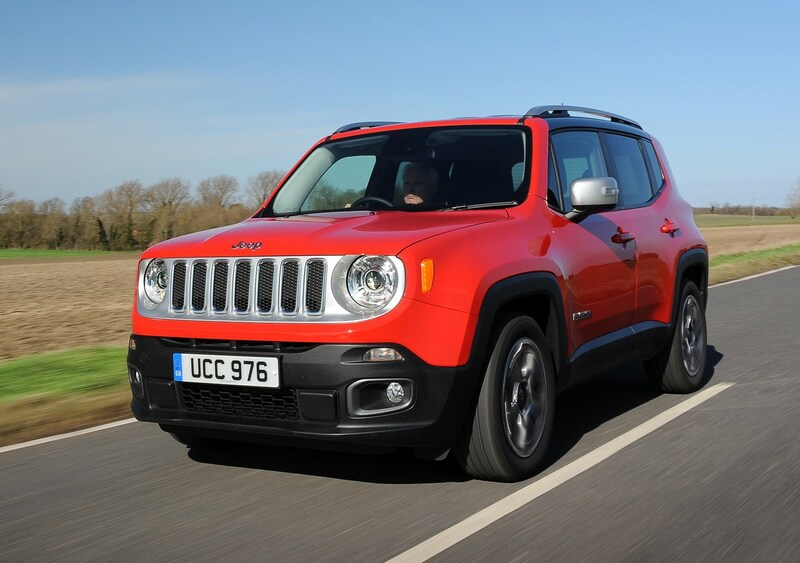 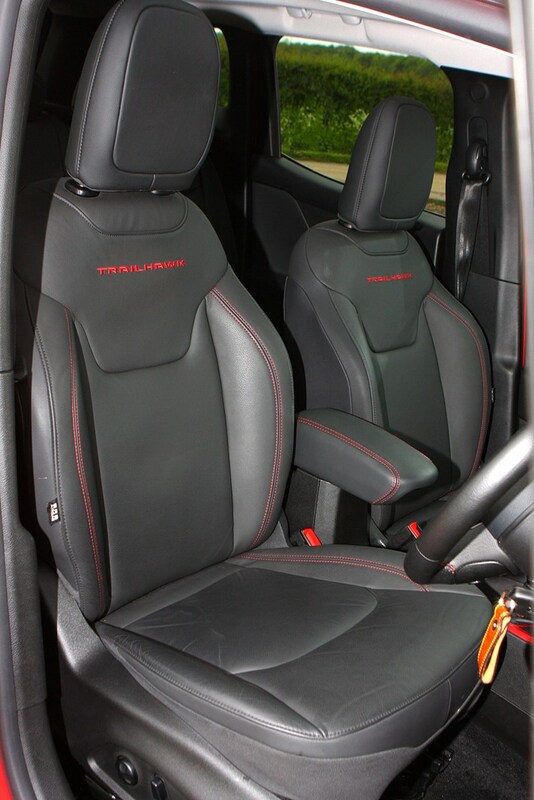 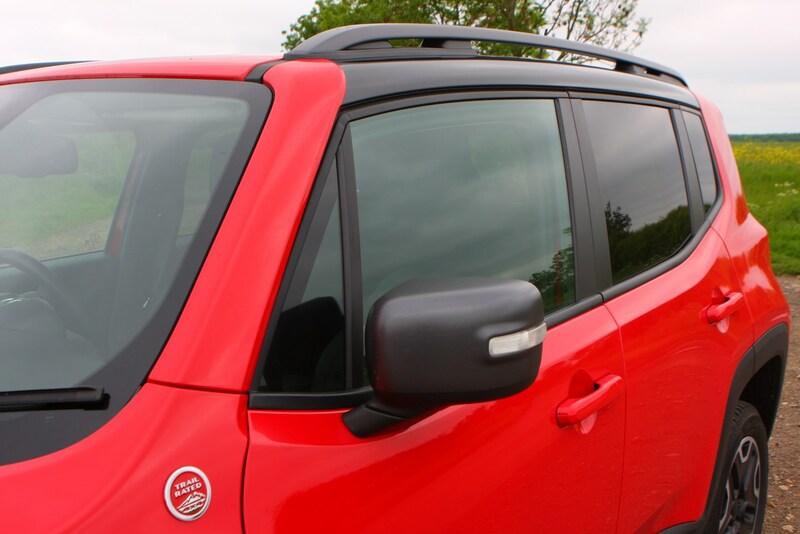 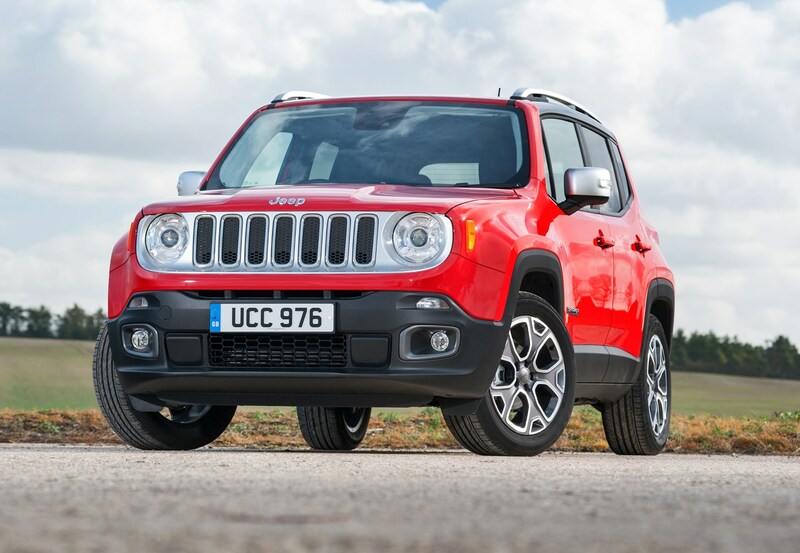 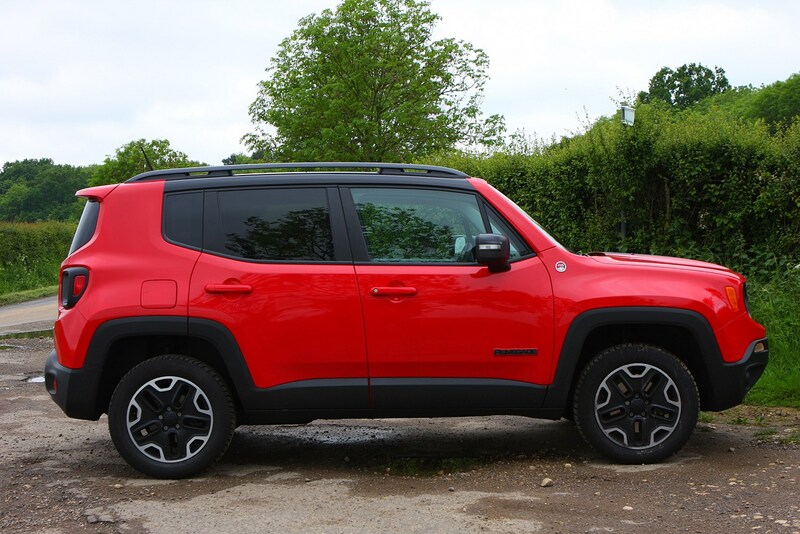 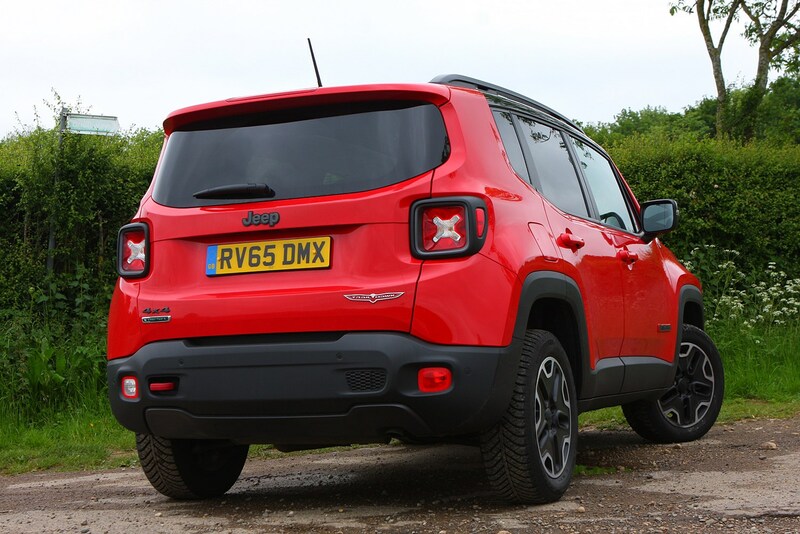 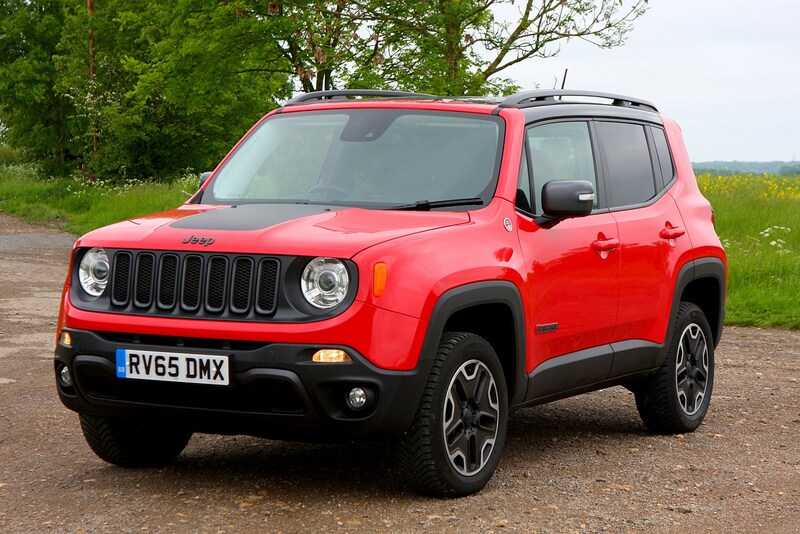 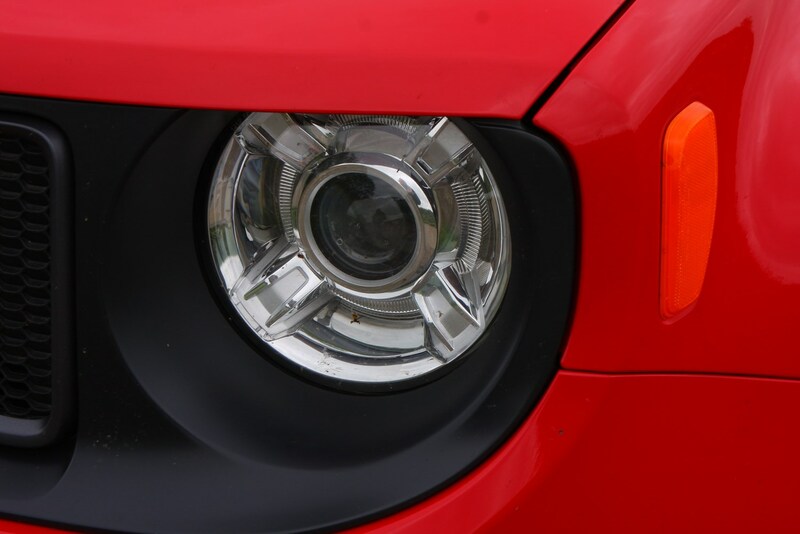 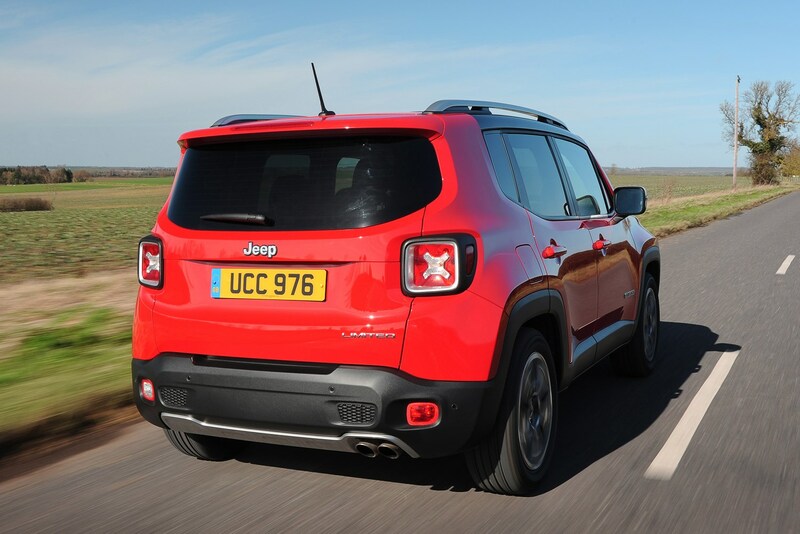 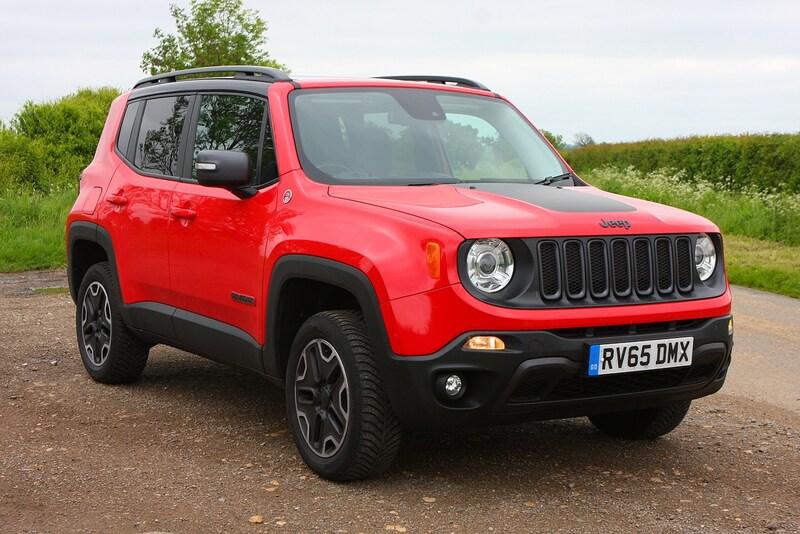 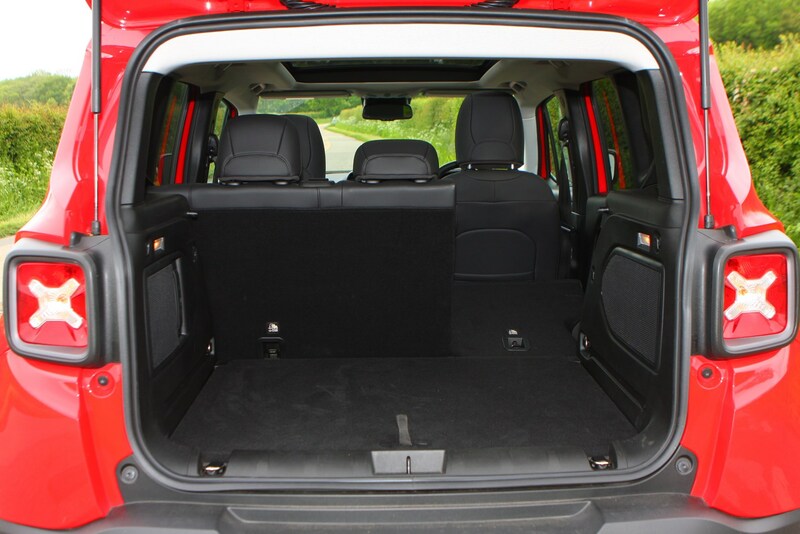 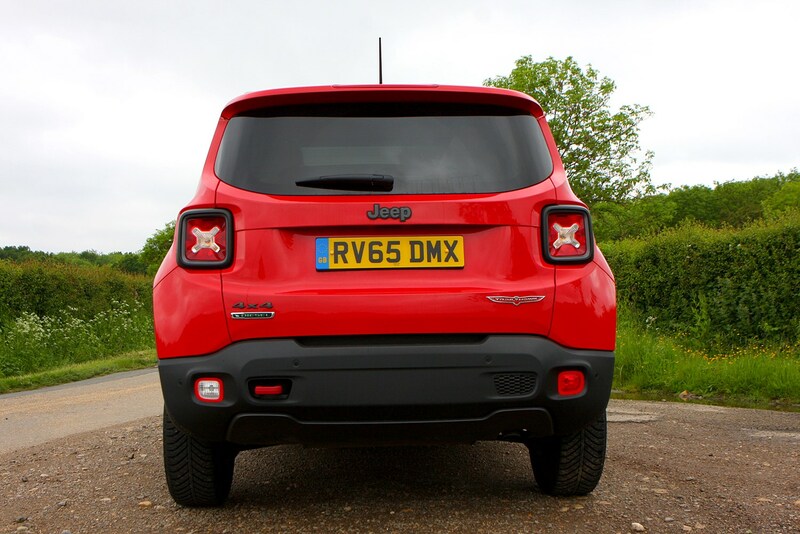 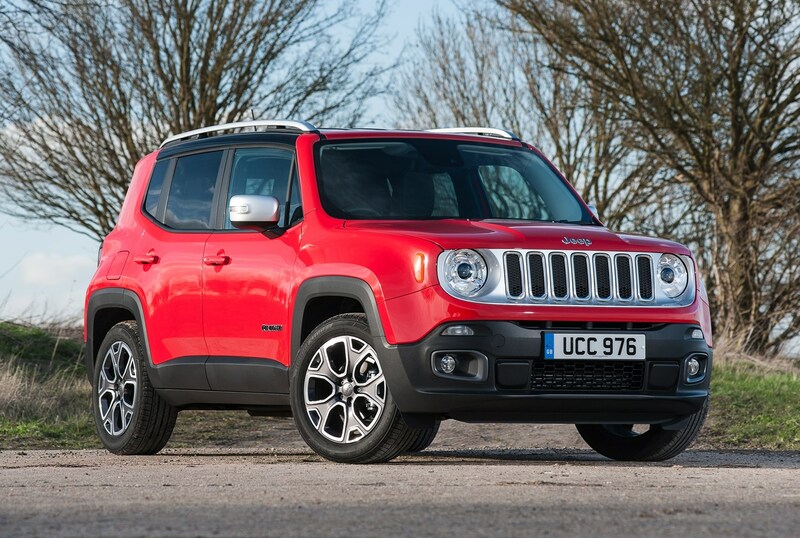 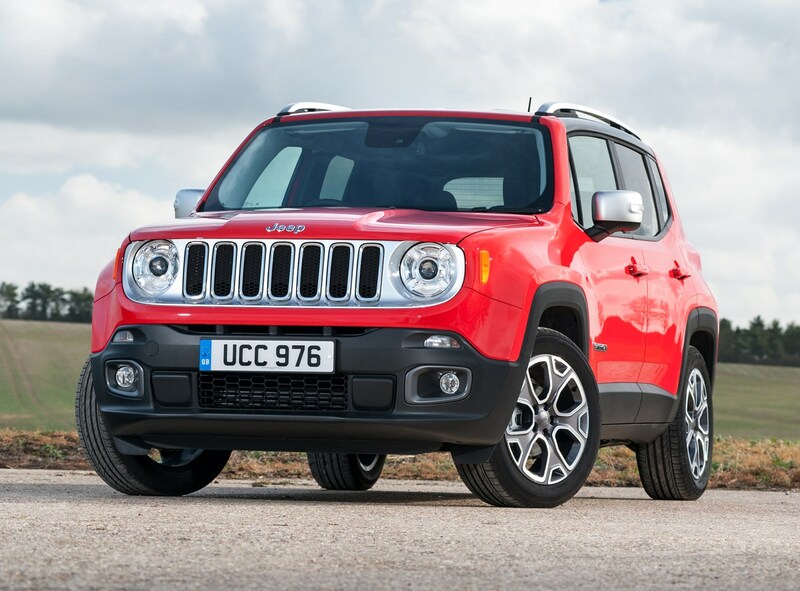 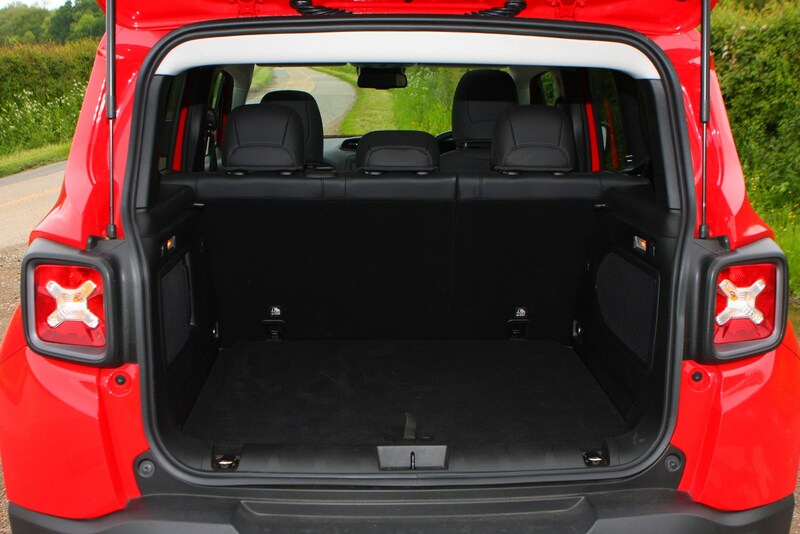 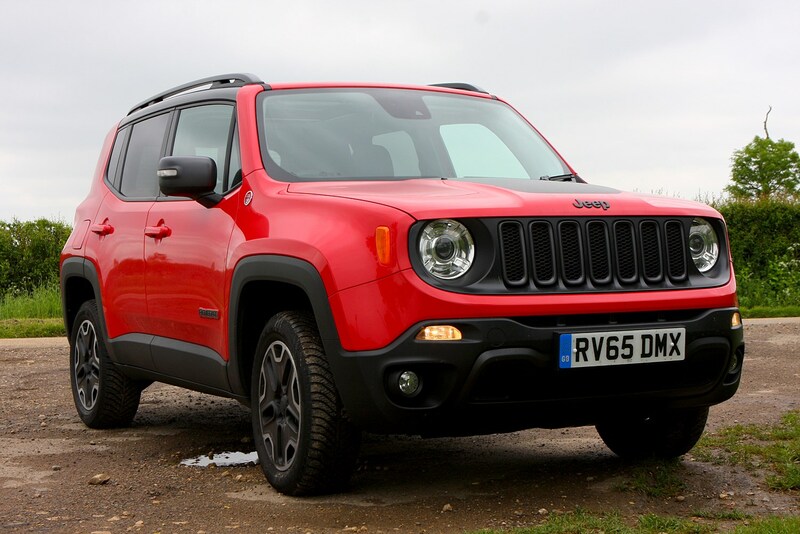 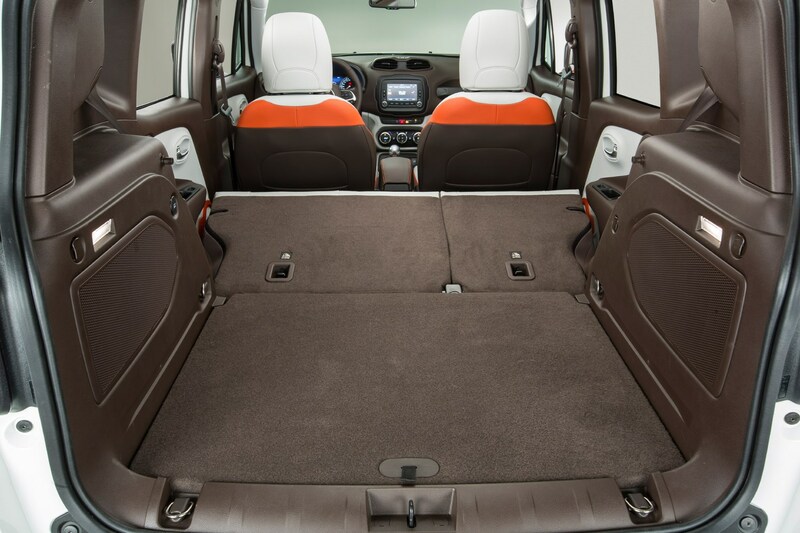 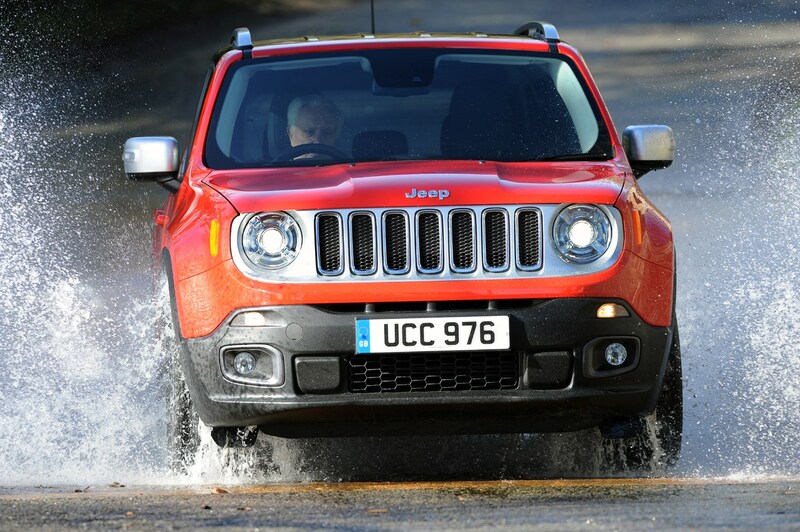 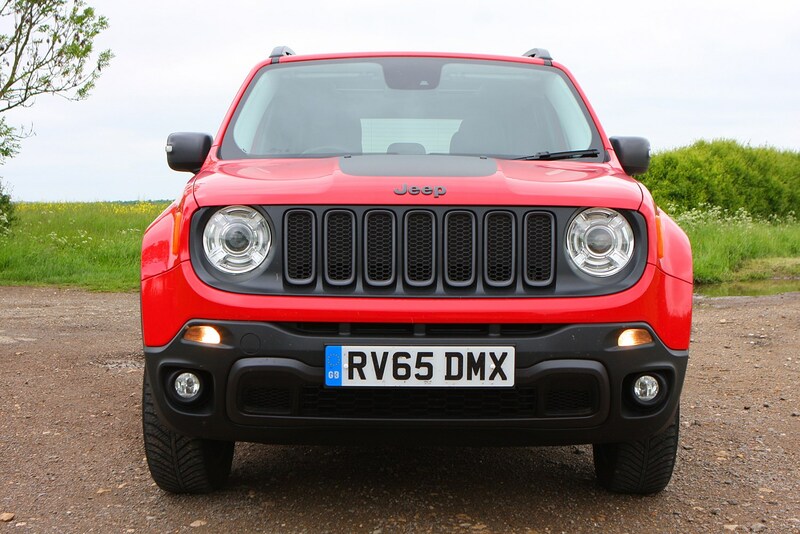 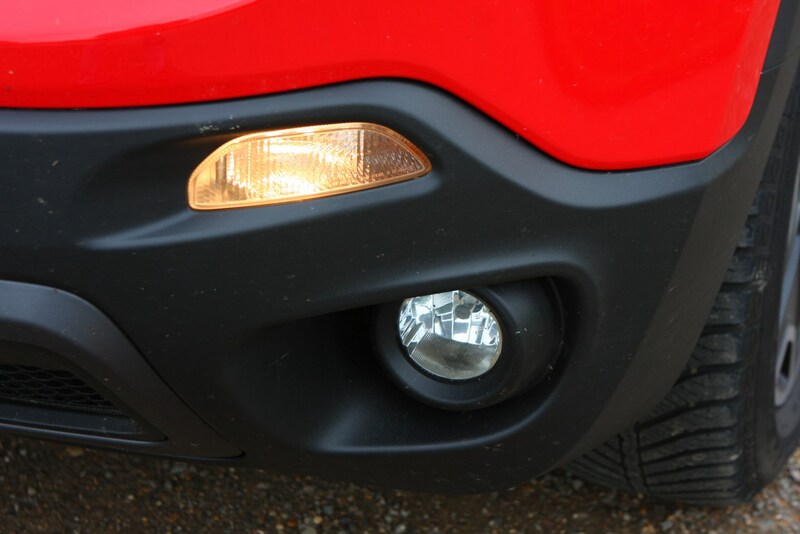 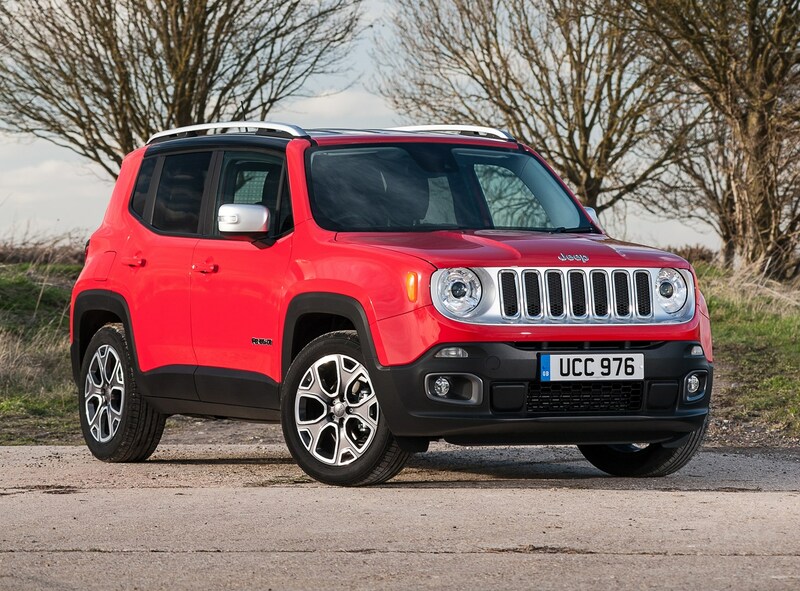 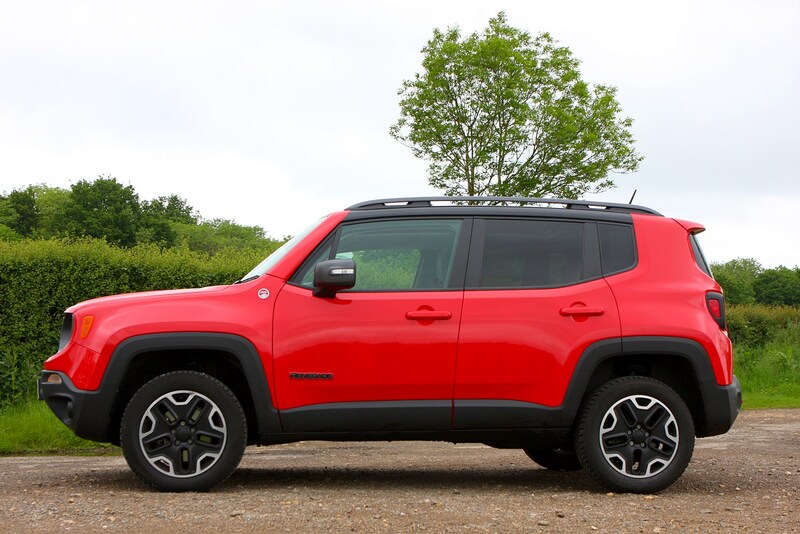 Read on for our full Jeep Renegade review to find out what it's like. 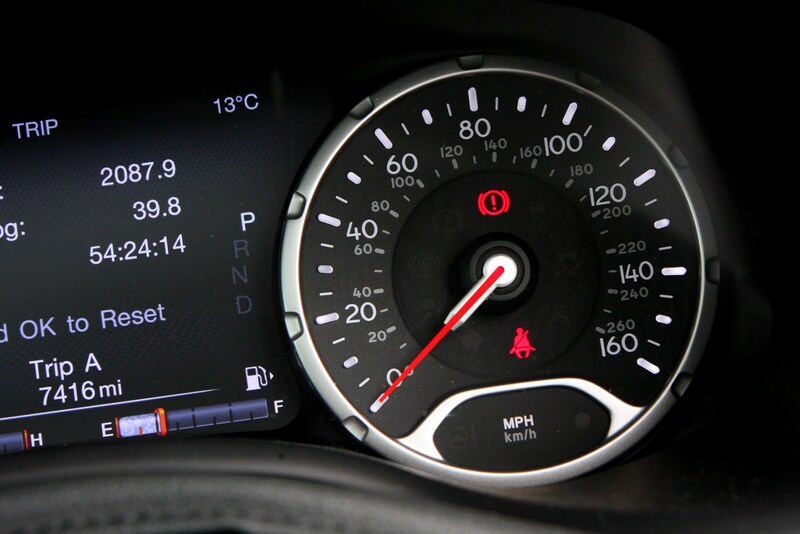 Car finance: what is an Advance Payment Plan?